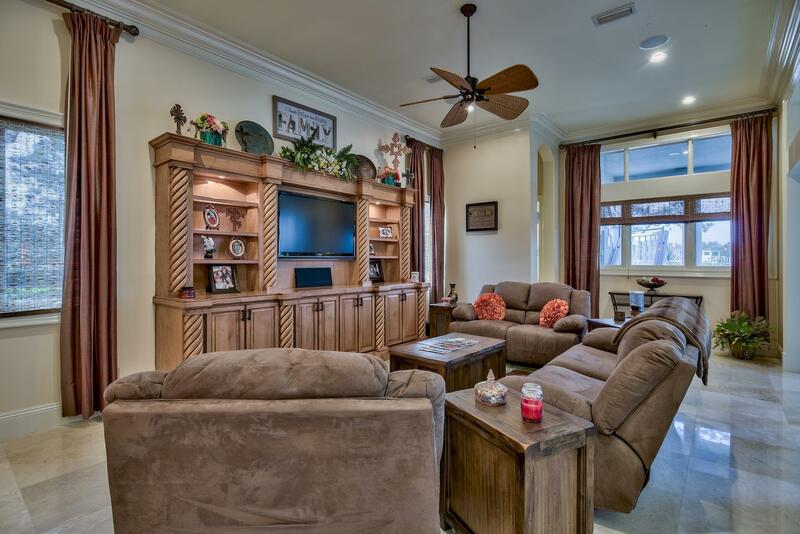 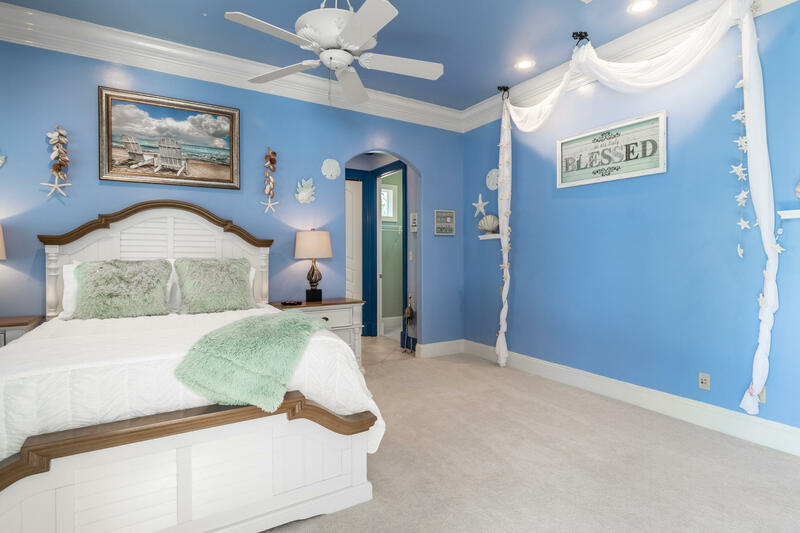 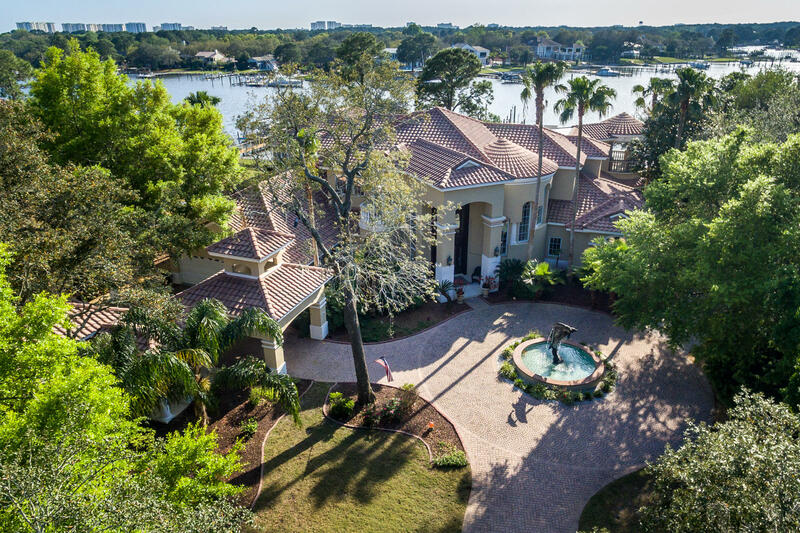 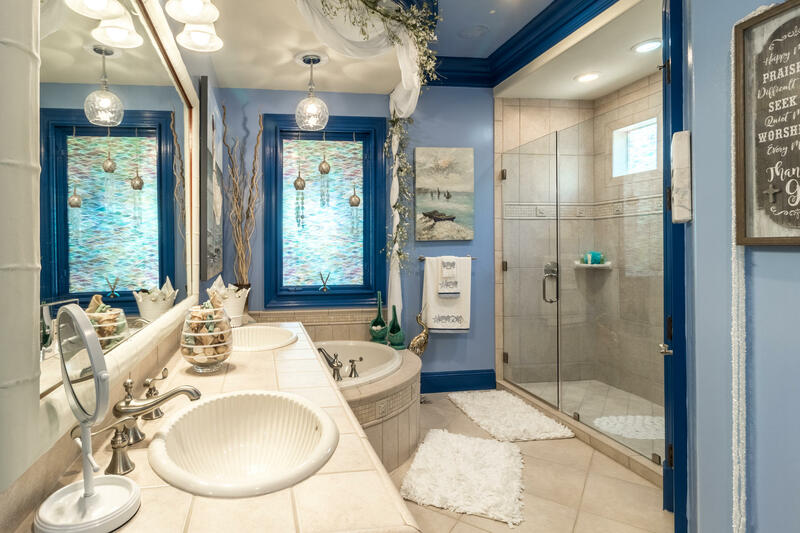 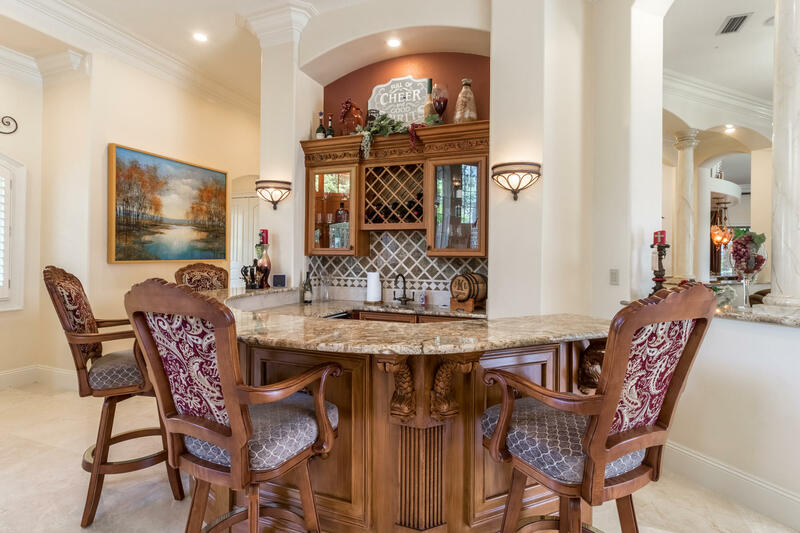 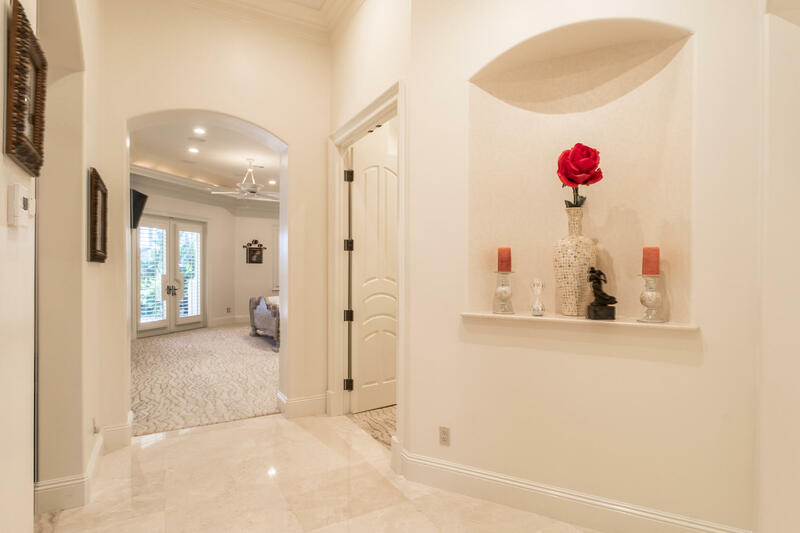 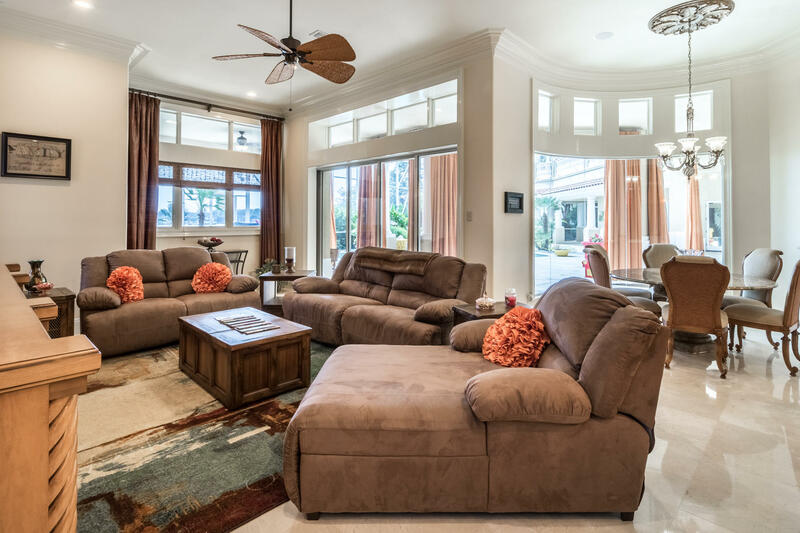 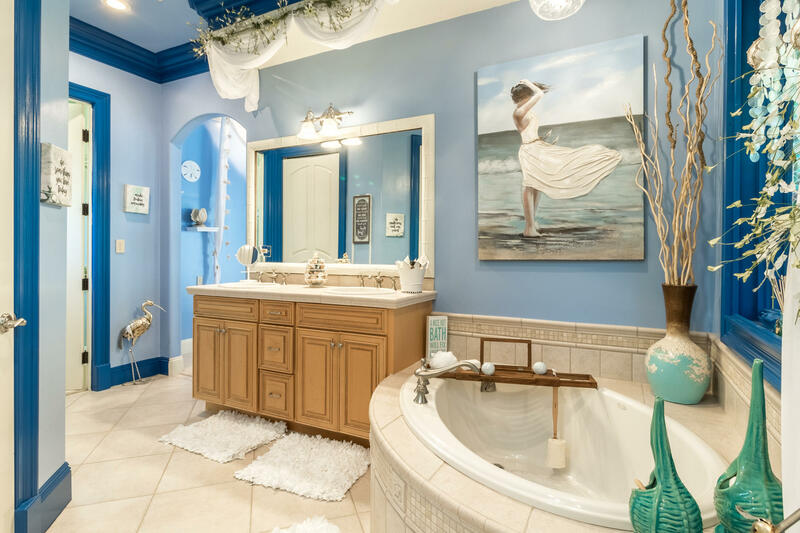 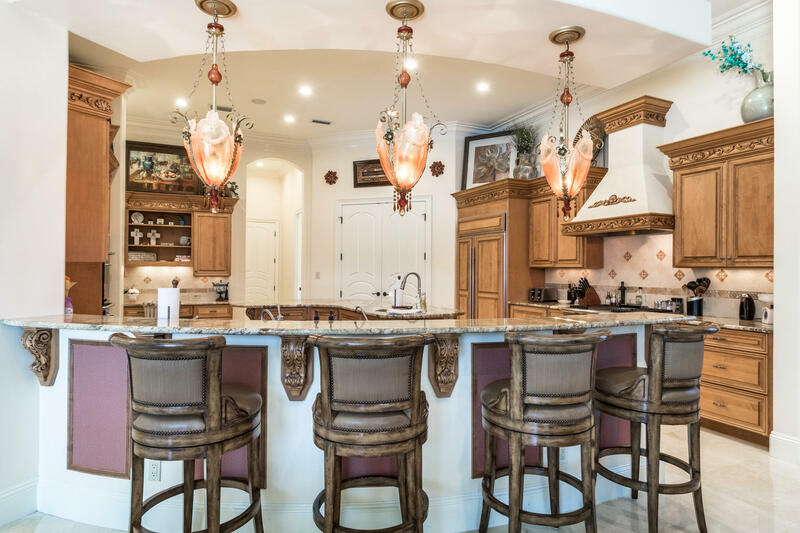 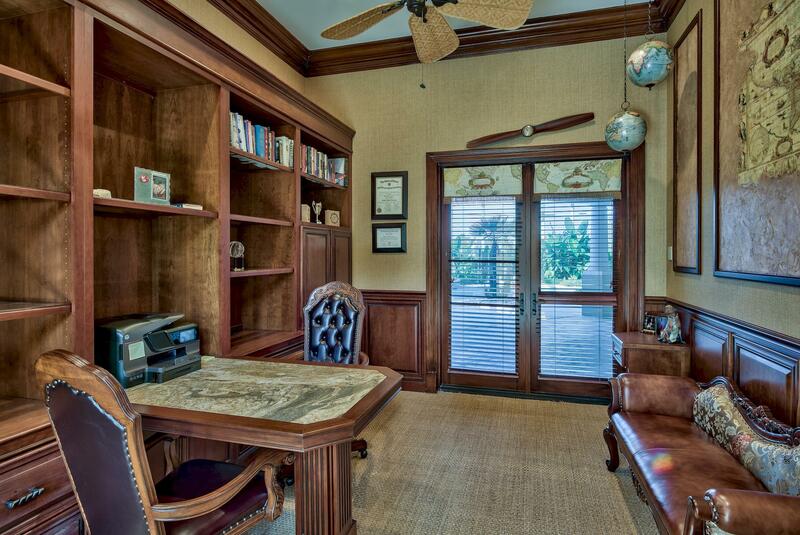 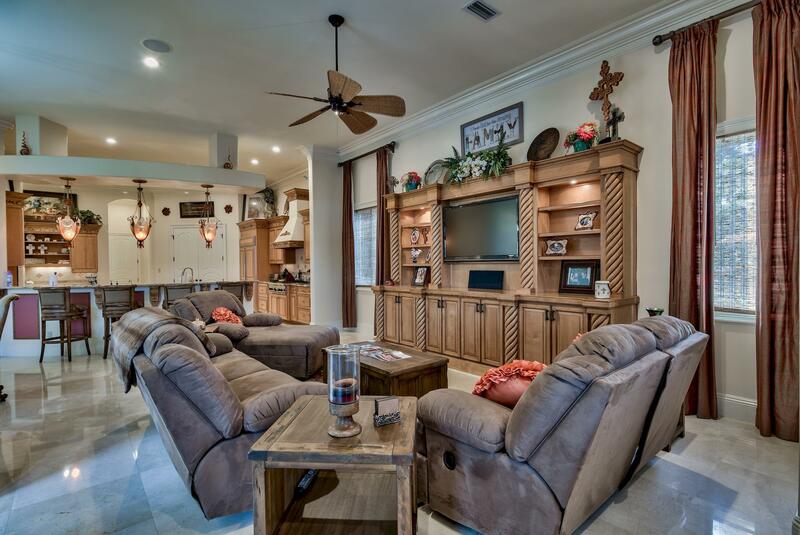 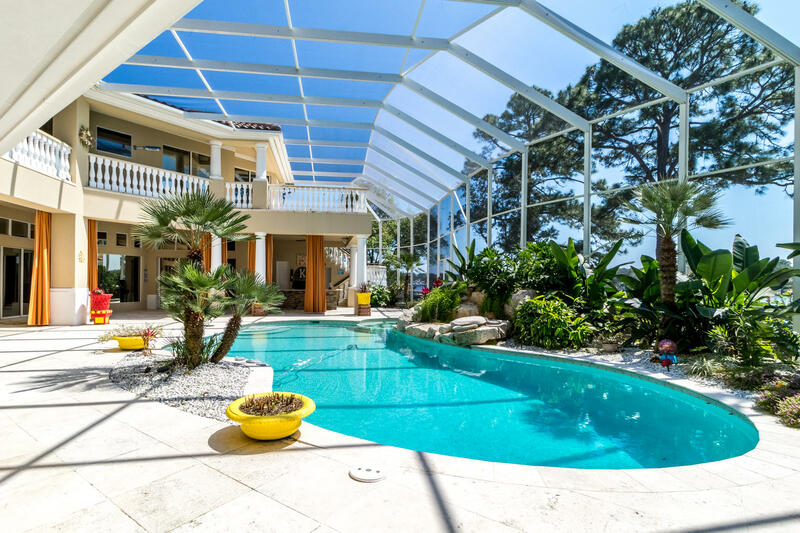 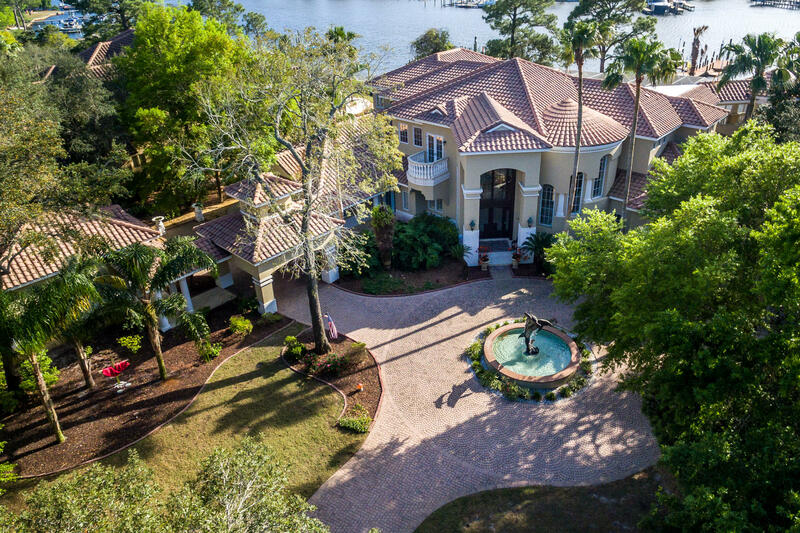 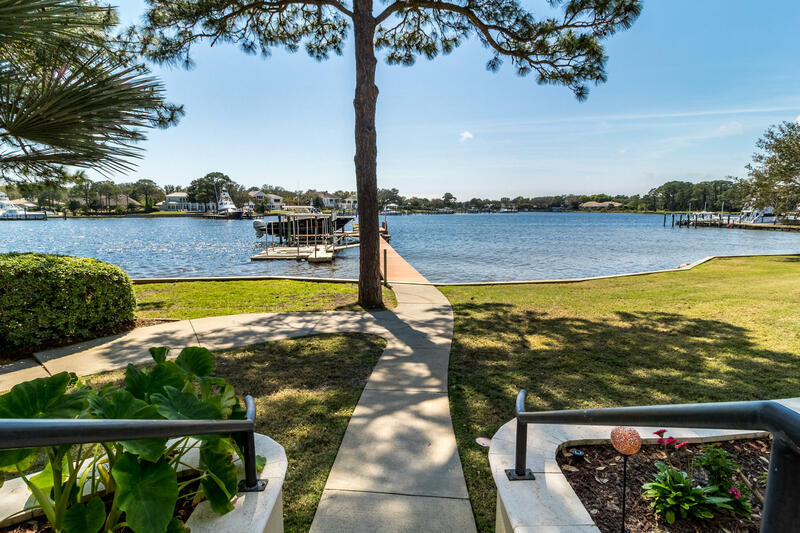 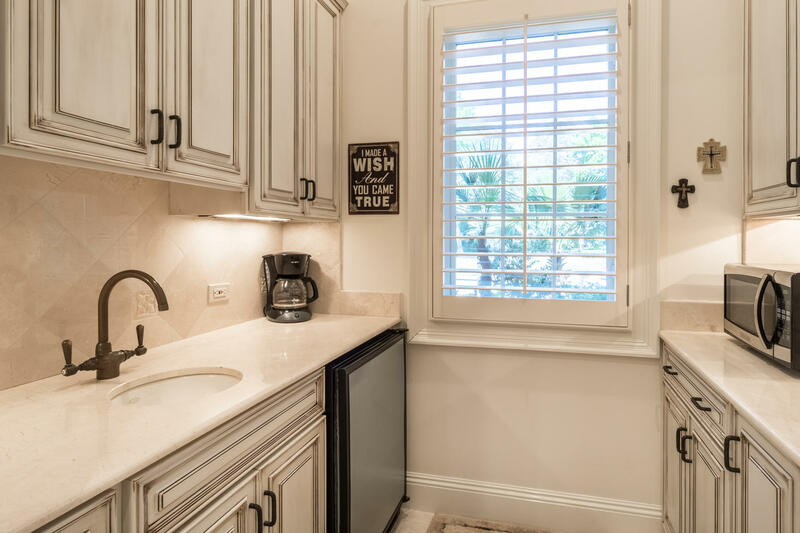 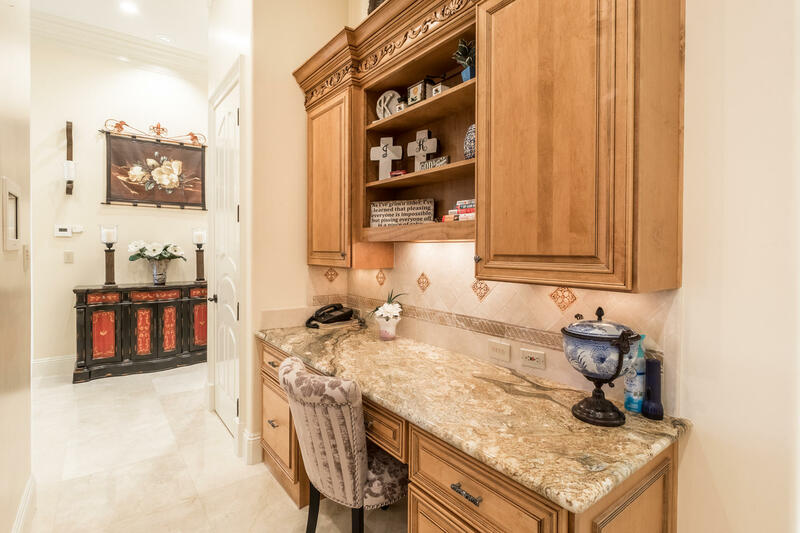 4516 OLDE PLANTATION Place, Destin, FL 32541 (MLS# 820106) - Real Estate Professionals of Destin, Inc. | Real Estate Professionals of NW FLA, Inc.
firm, the spaces and details showcase your decor, while the floorplan flows effortlessly from one living space into the next. 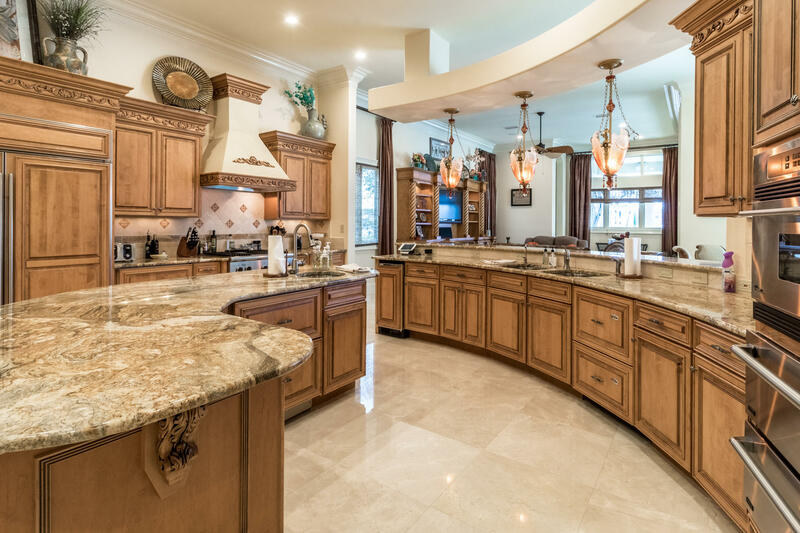 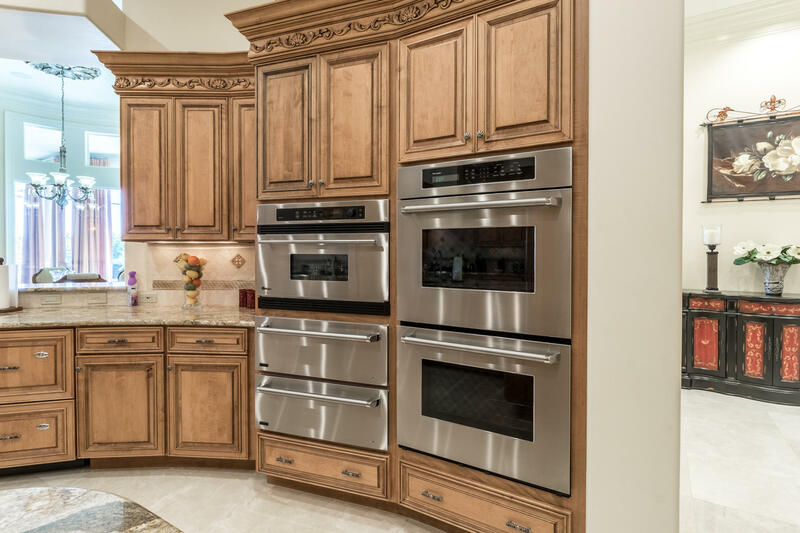 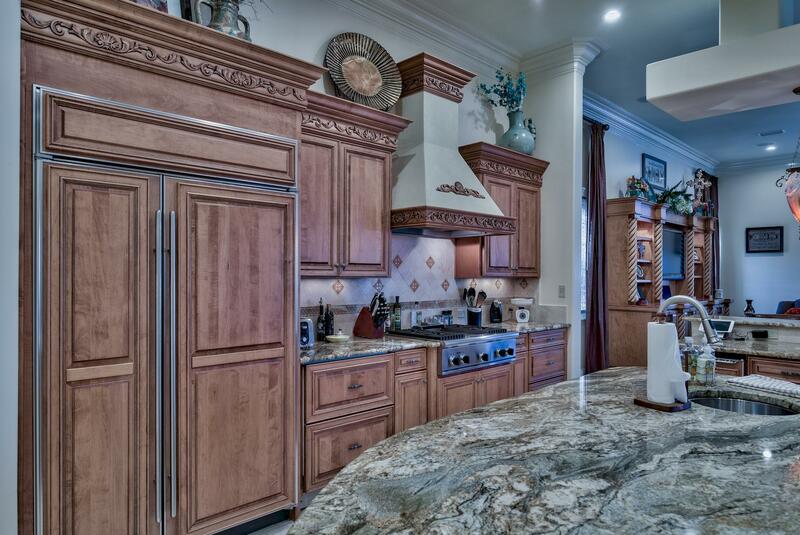 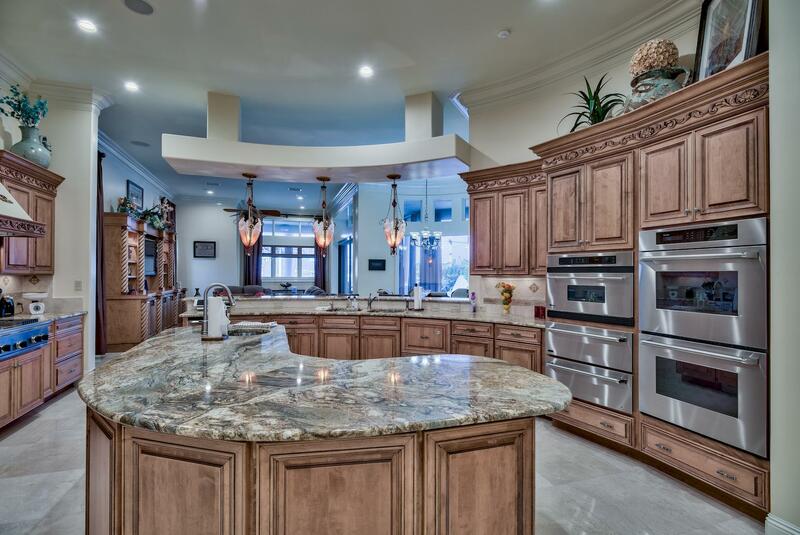 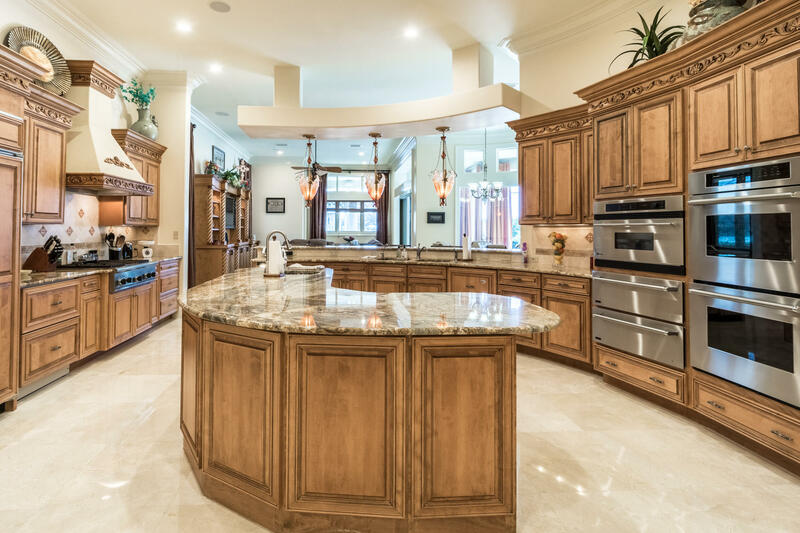 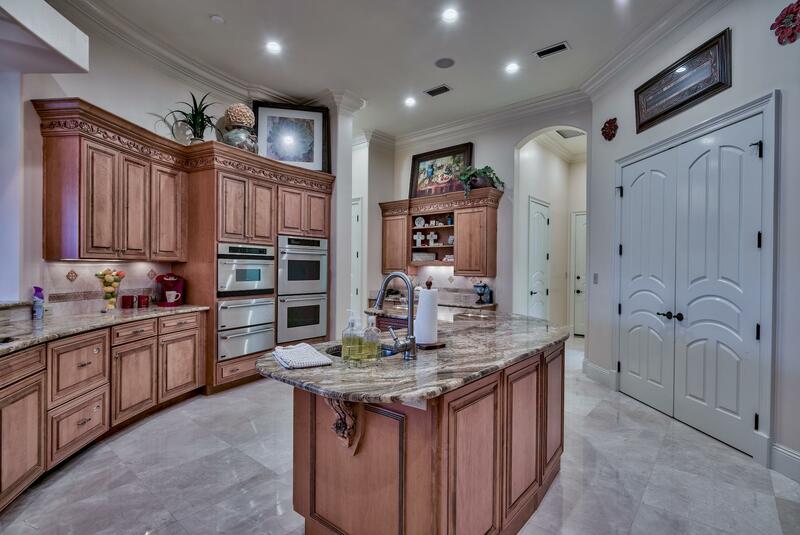 In the gourmet kitchen, top-of-the-line appliances blend with custom cabinetry, including a Subzero refrigerator, four refrigerator drawers, double oven, warming drawers, two dishwashers, ice machine, professional Thermador cooktop, and more. 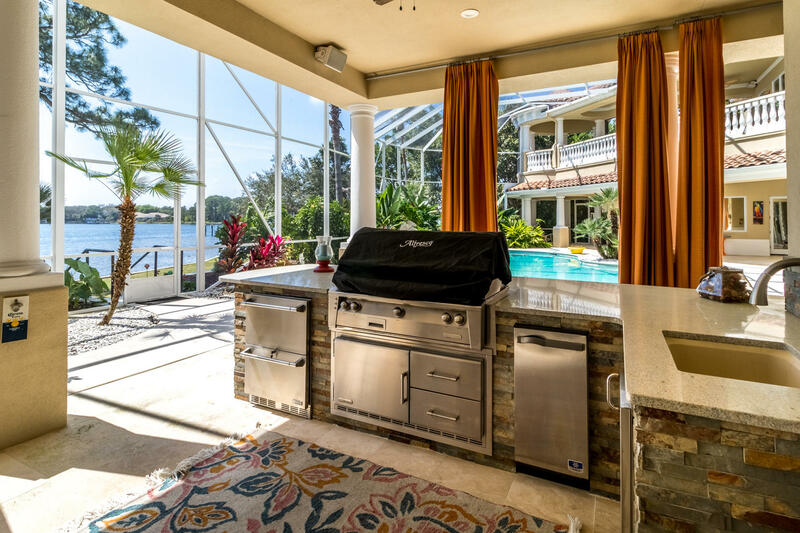 Or grill your day's catch in the recently renovated summer kitchen, which includes an Alfresco grill, refrigerated drawers, icemaker, and sink. 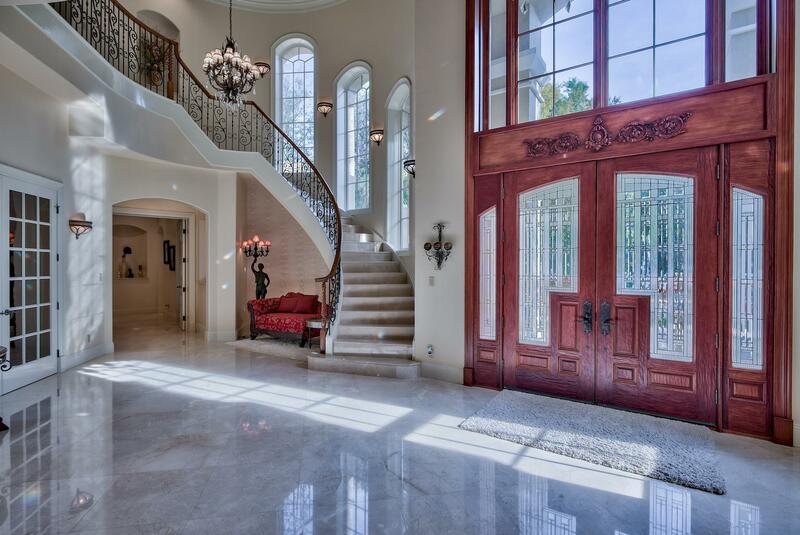 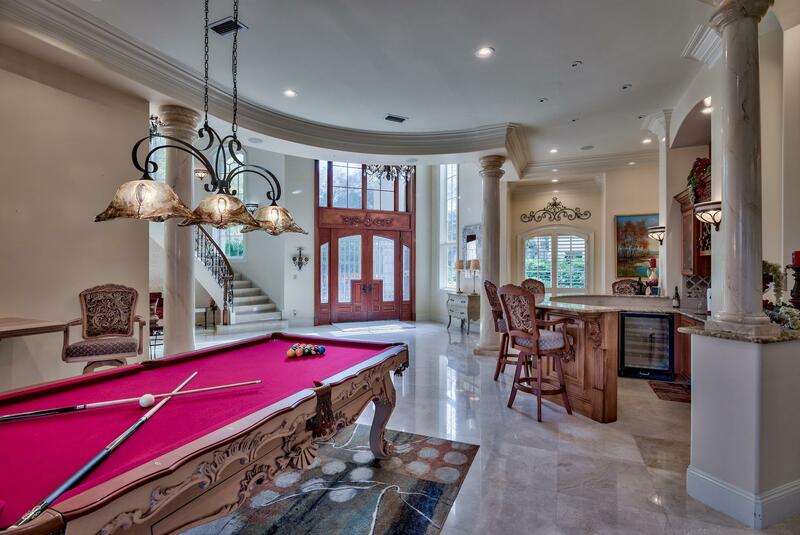 Past the double doors of the study lies the amazing master wing. 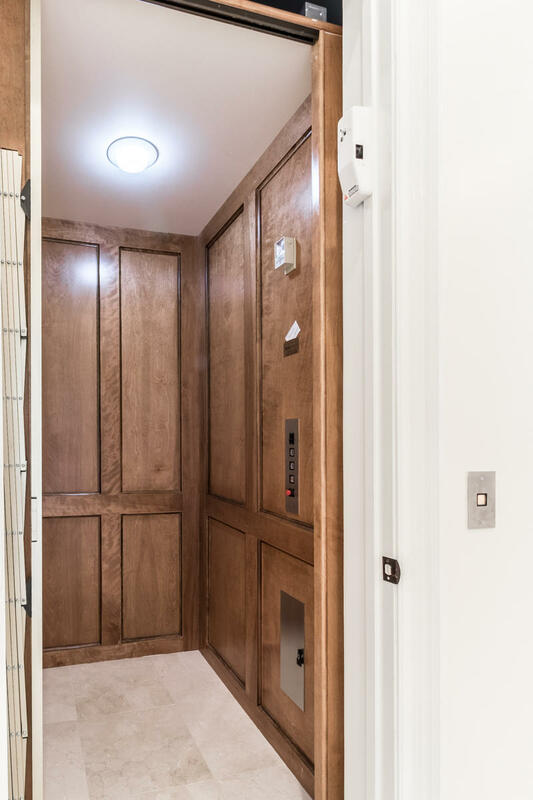 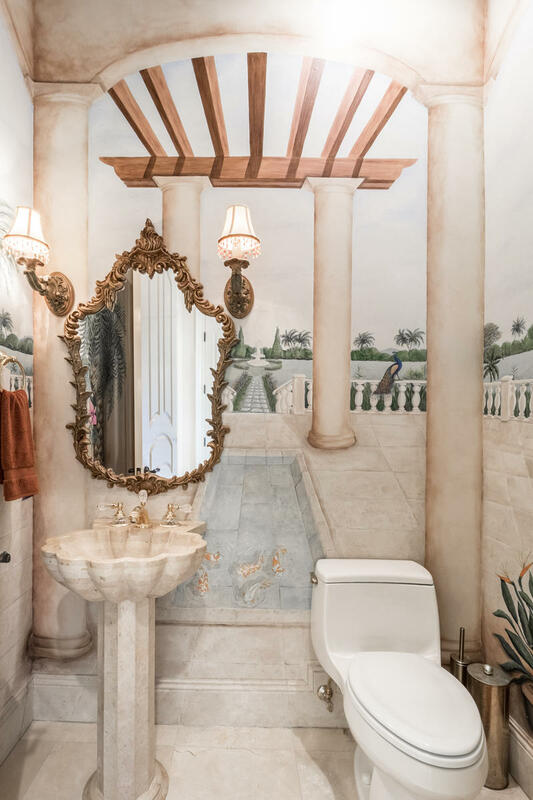 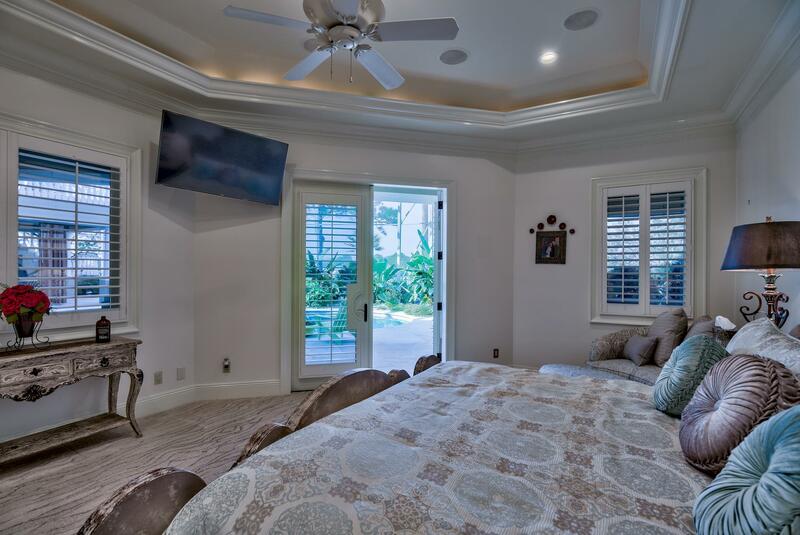 With a morning kitchen, sitting/exercise/spa room, incredible closet, and marble-framed gas fireplace in the bedroom, and a huge, luxurious bathroom, you could spend all day in your private retreat! 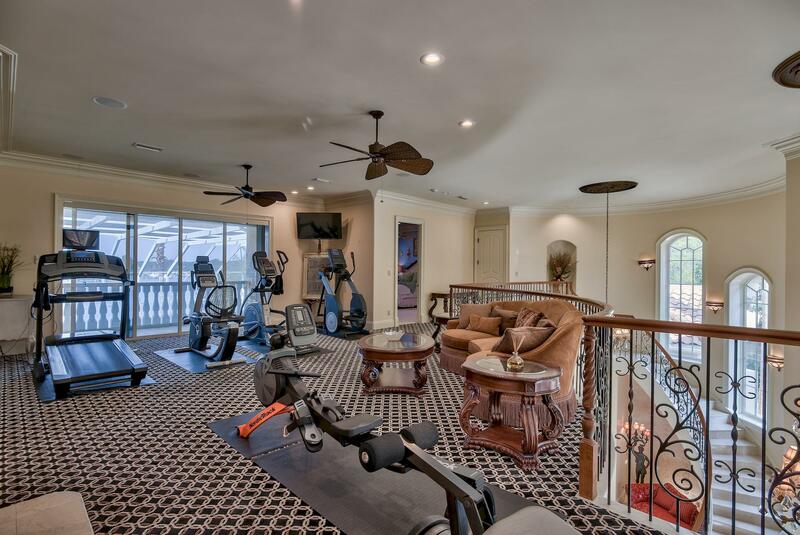 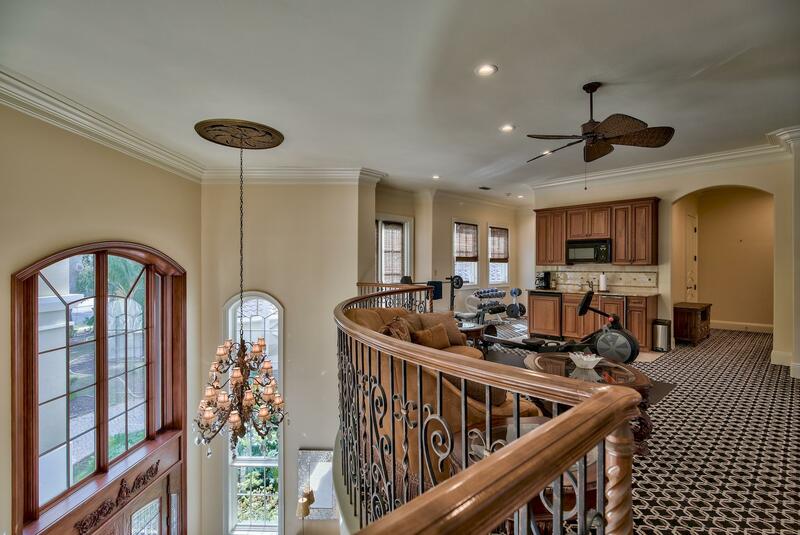 Up the stairs--or the elevator--the large balcony/loft with another bar/mini-kitchen makes a perfect game and media room. 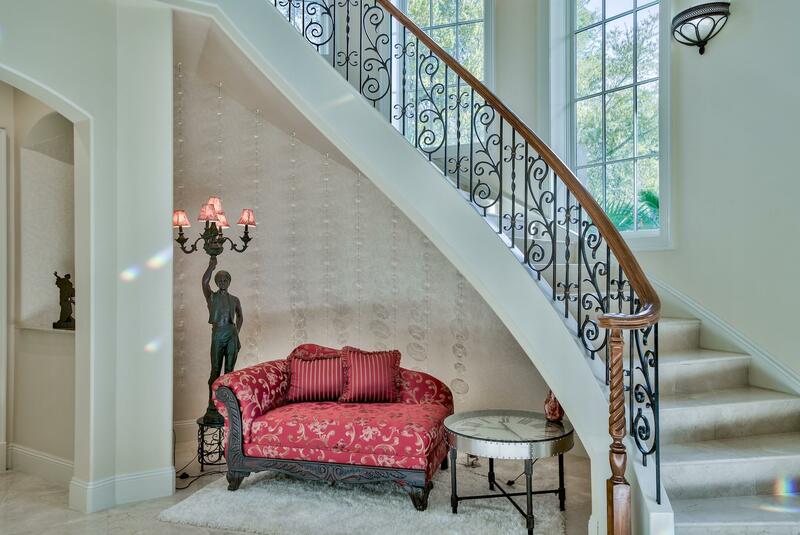 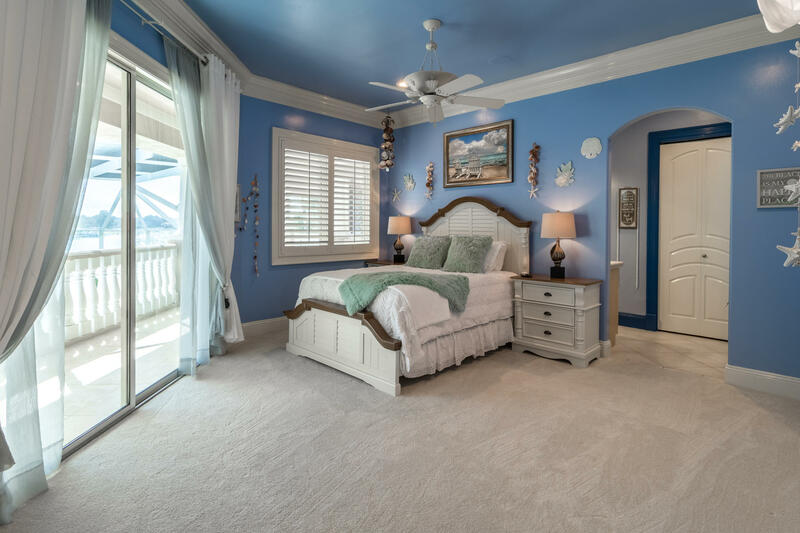 Two additional master suites at the ends of the second floor offer privacy and comfort. 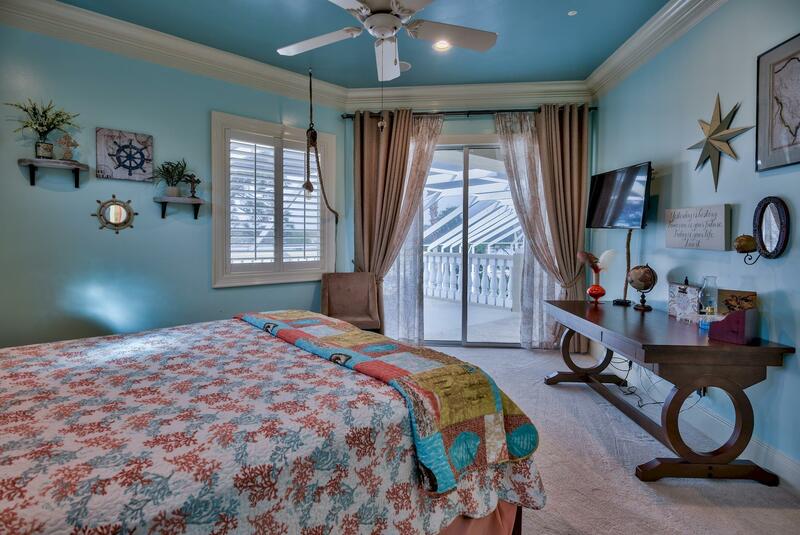 Each suite enjoys its own private outdoor deck, plus access to the balcony, all within the screened patio. 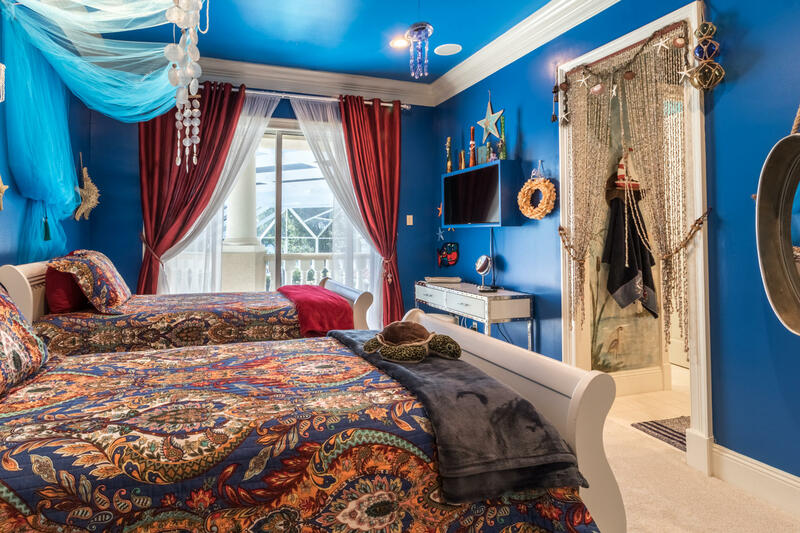 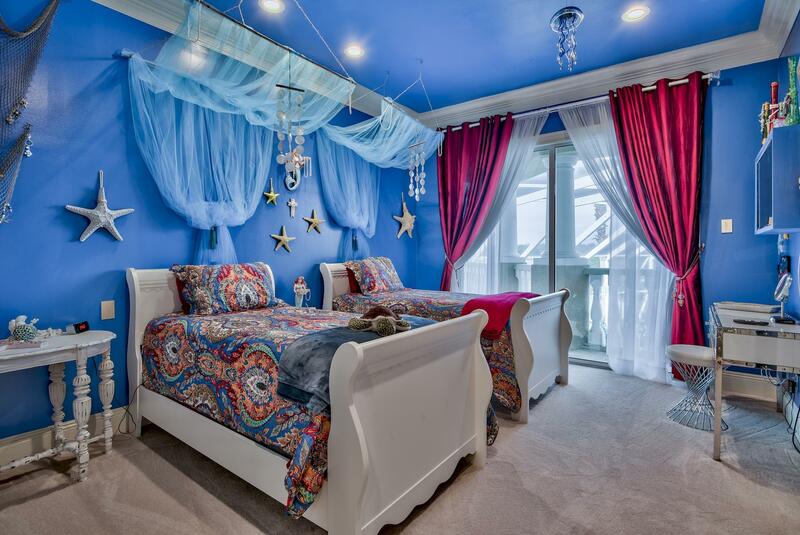 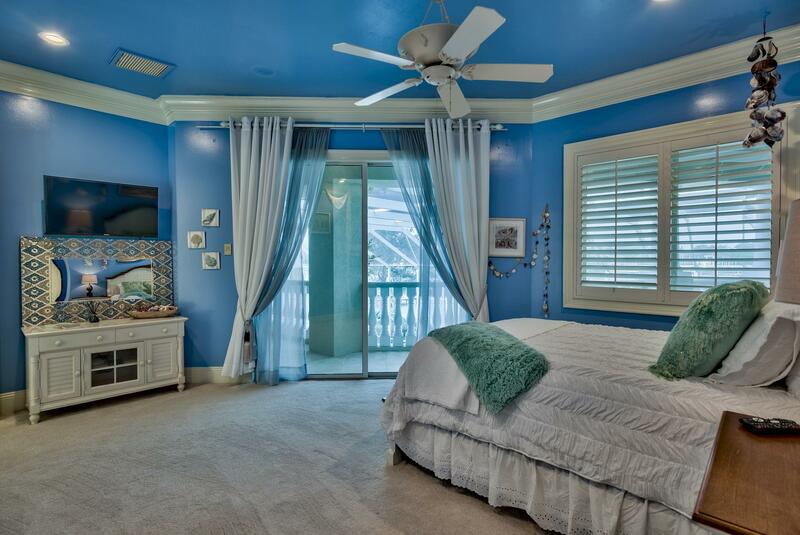 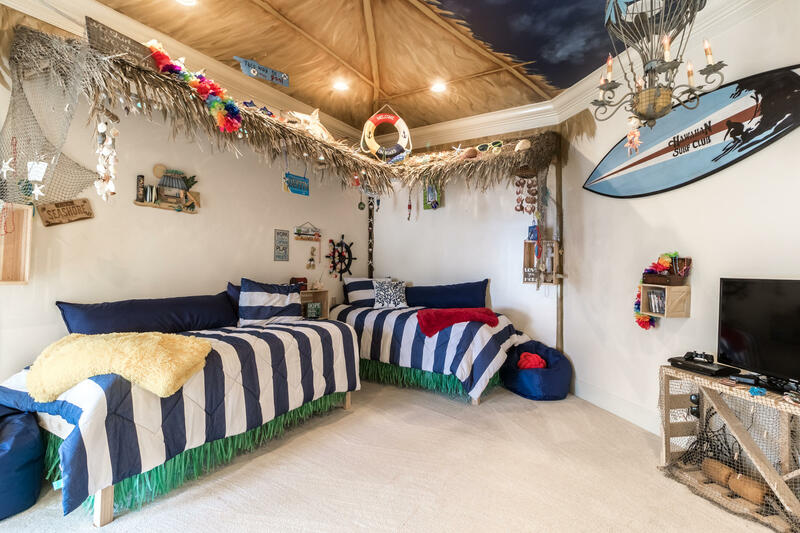 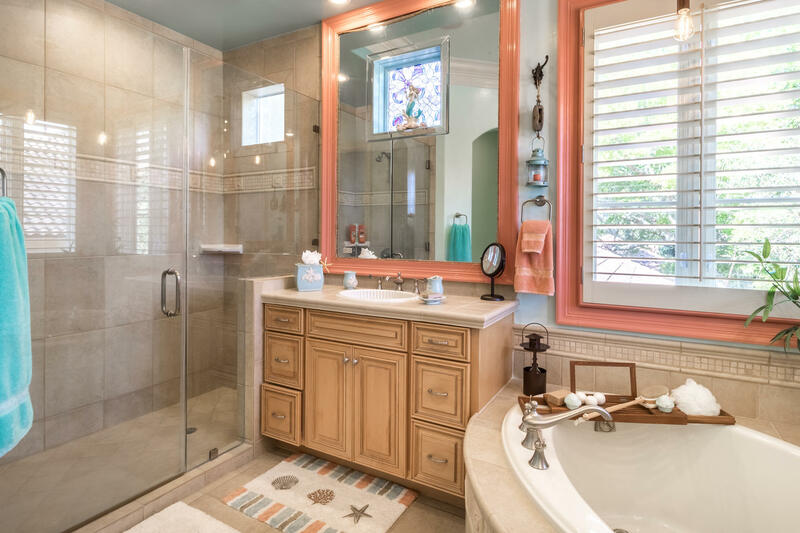 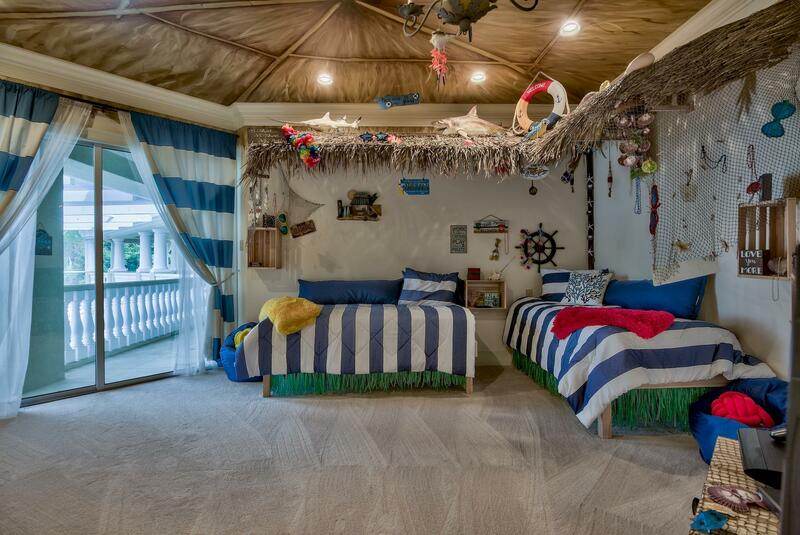 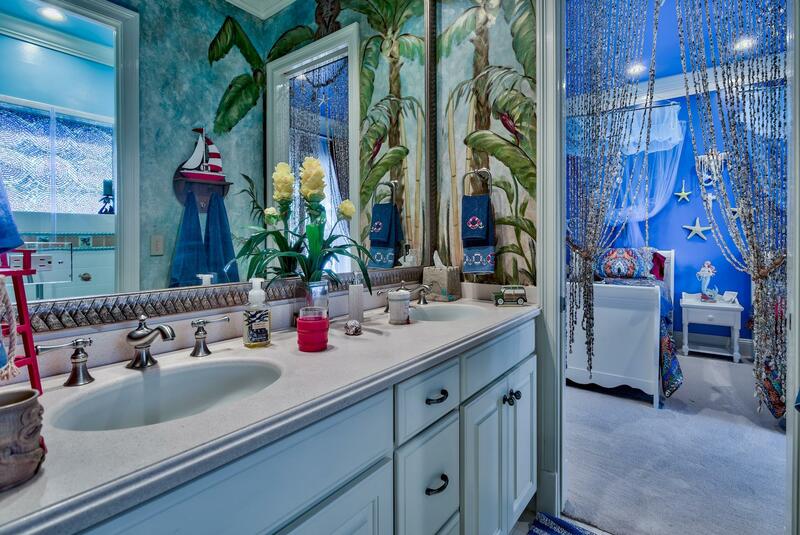 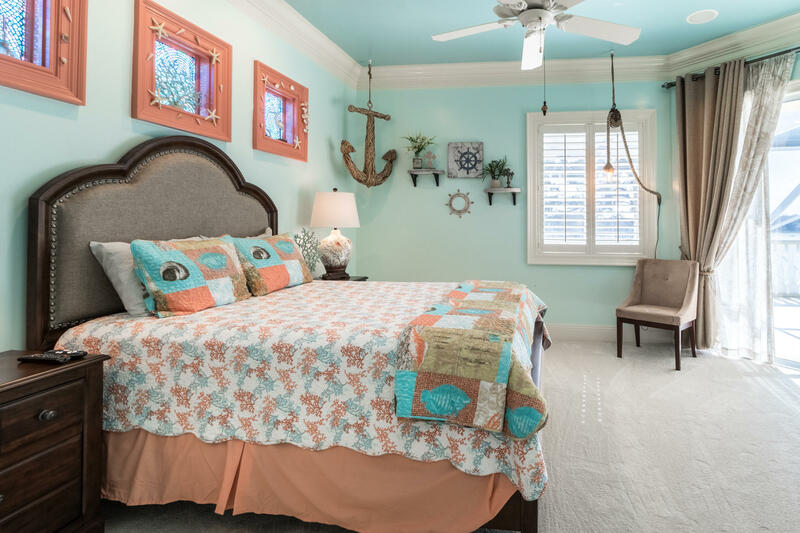 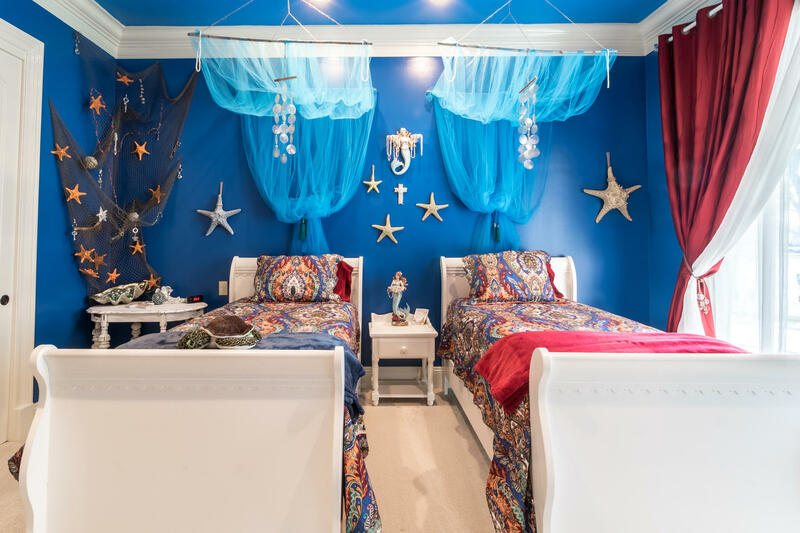 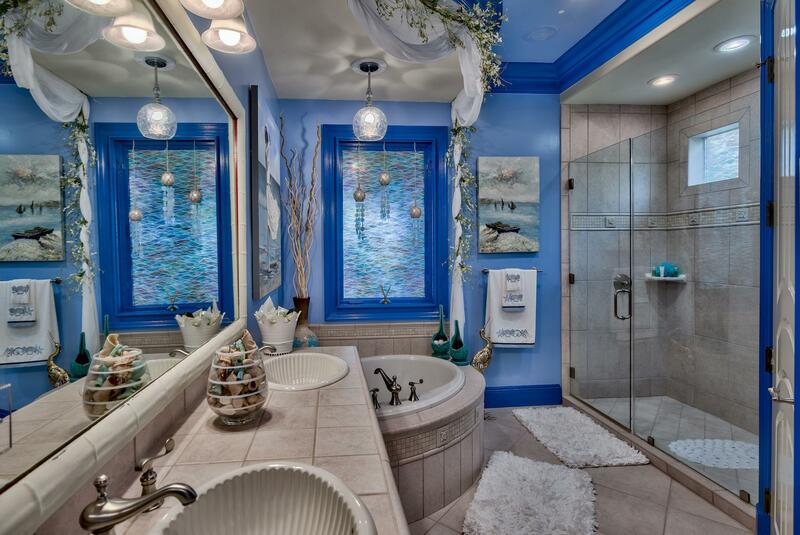 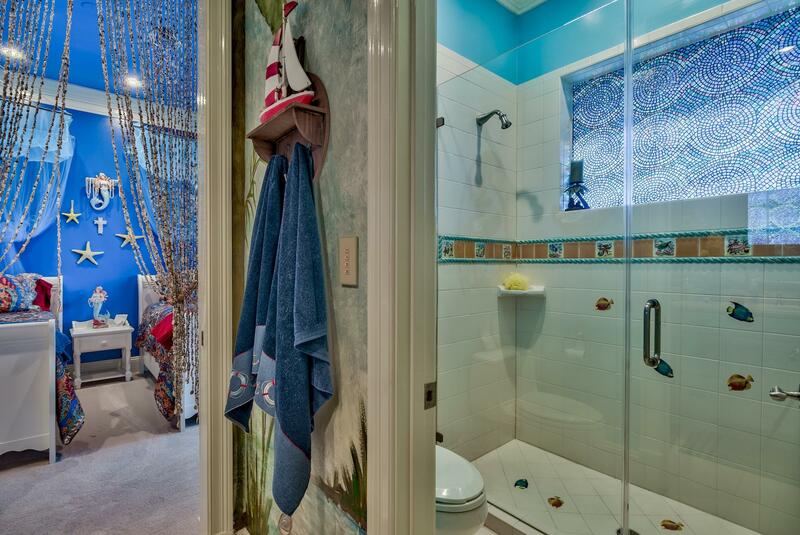 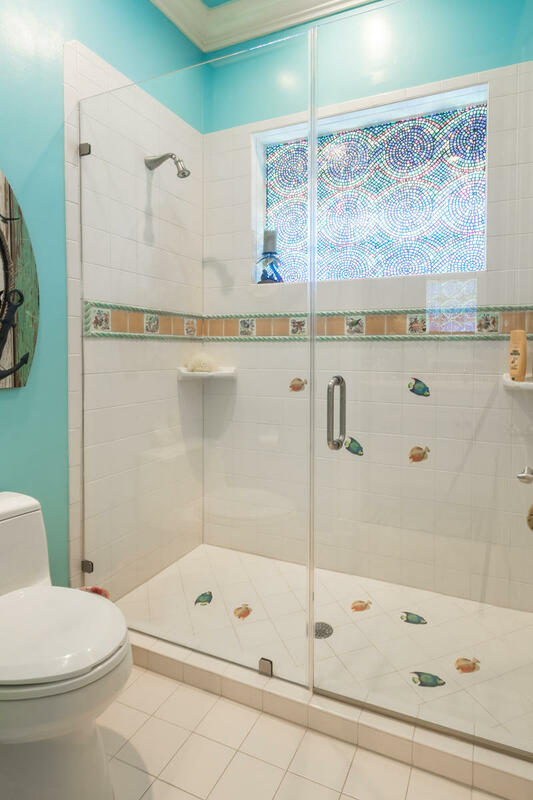 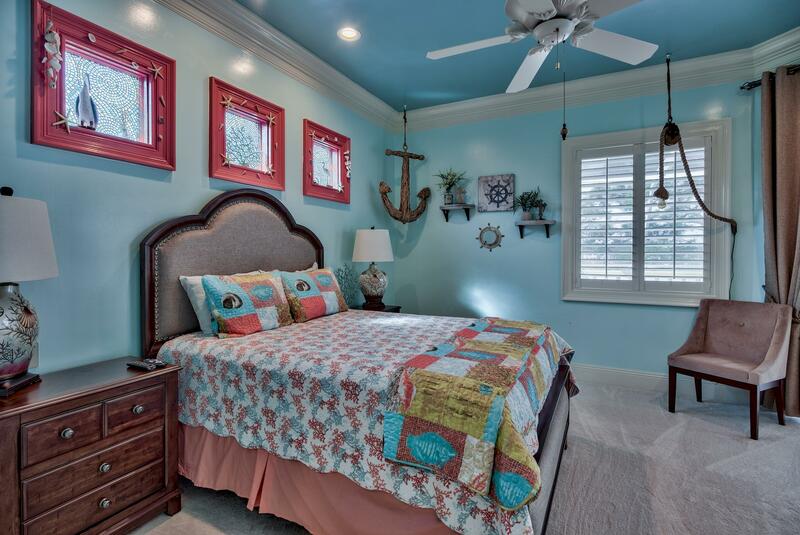 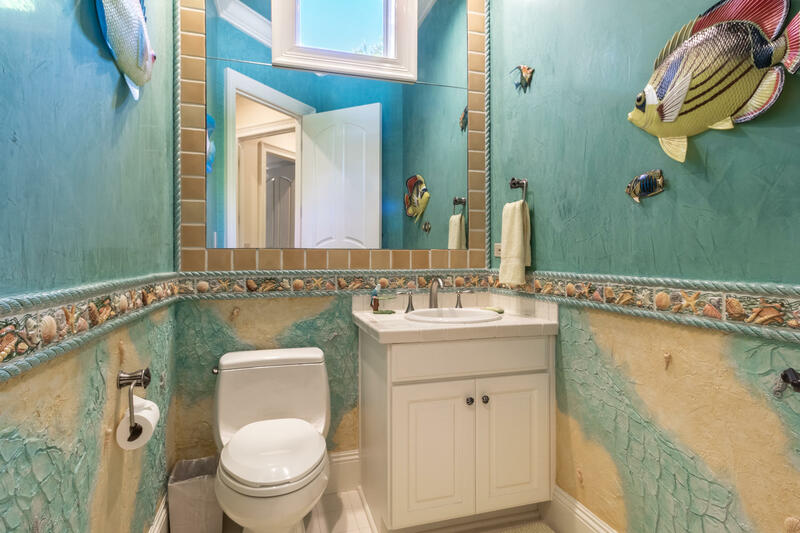 Kids will love the two additional bedrooms, currently with tropical island and mermaid themes. 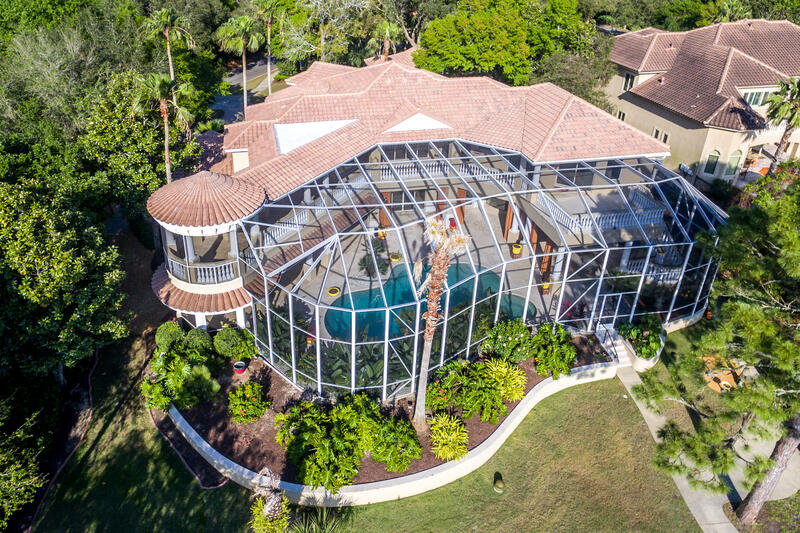 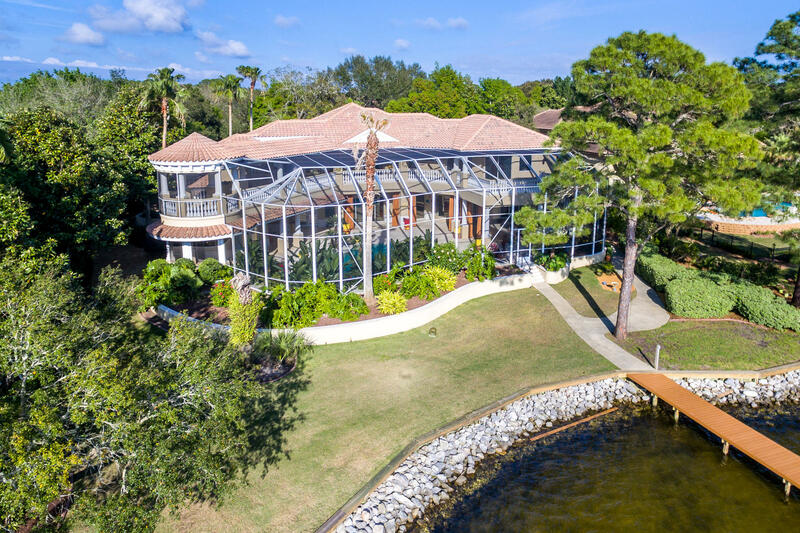 Made for indoor/outdoor living, the two-story screened lanai, which has recently been enlarged, encloses your own oasis! 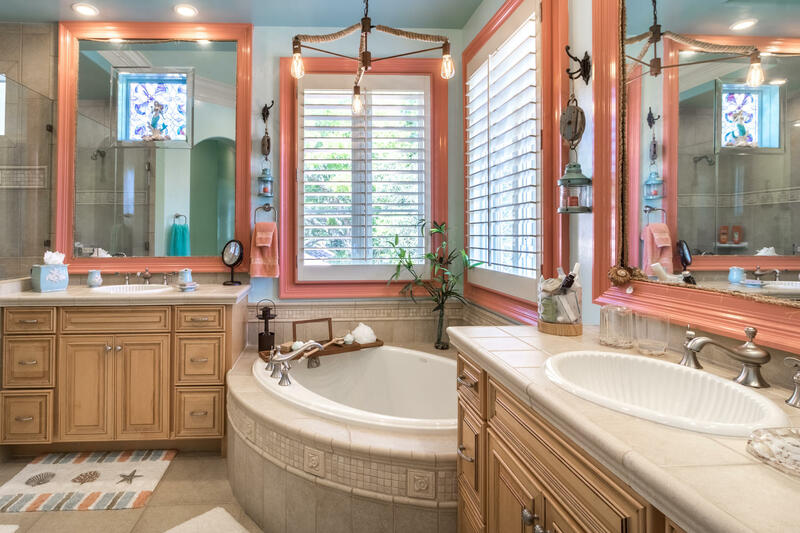 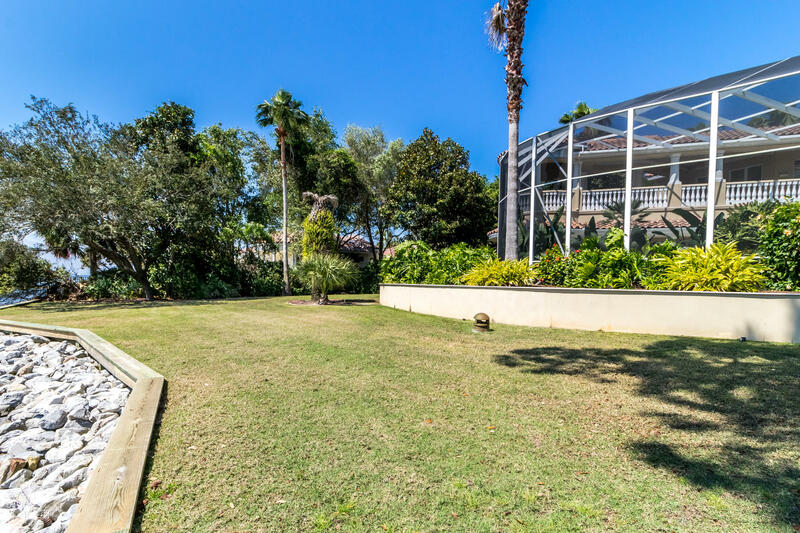 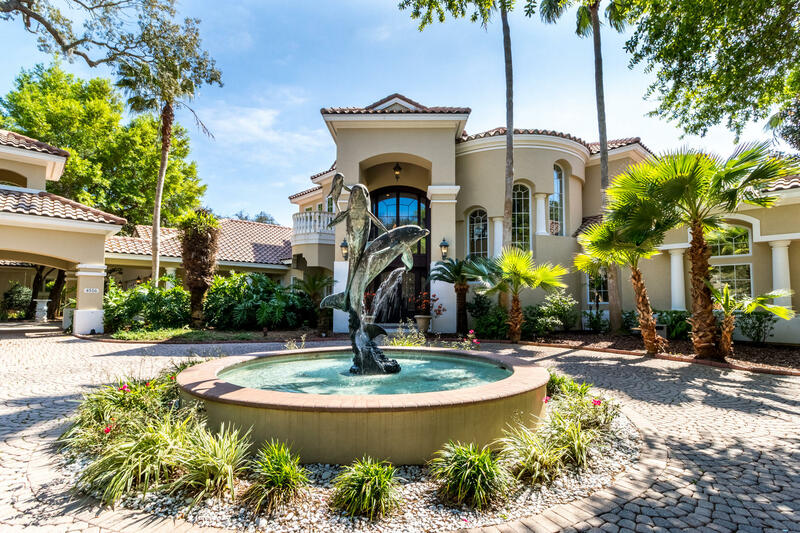 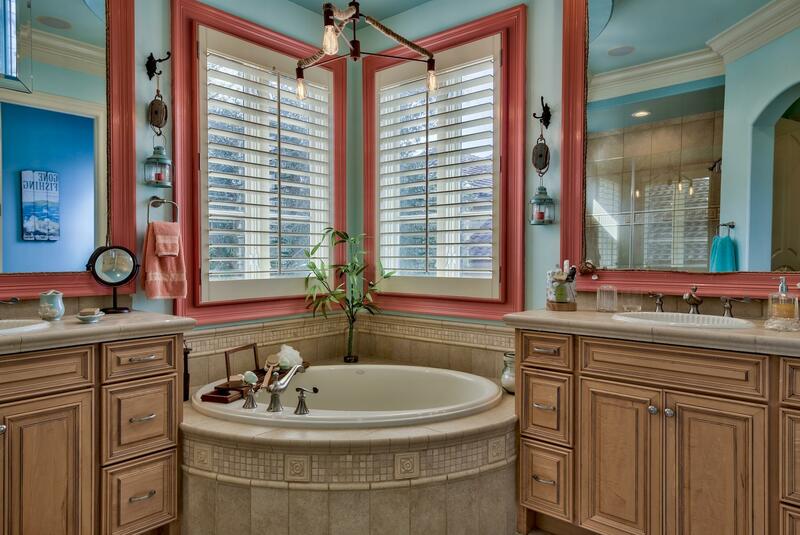 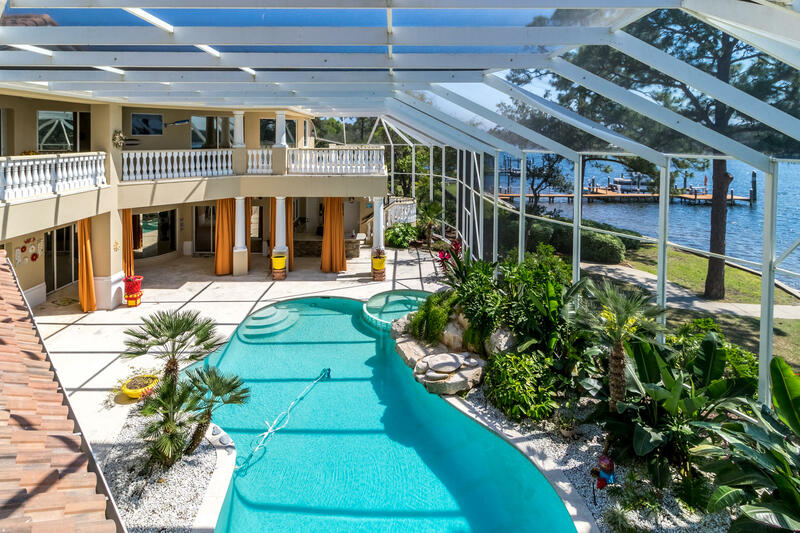 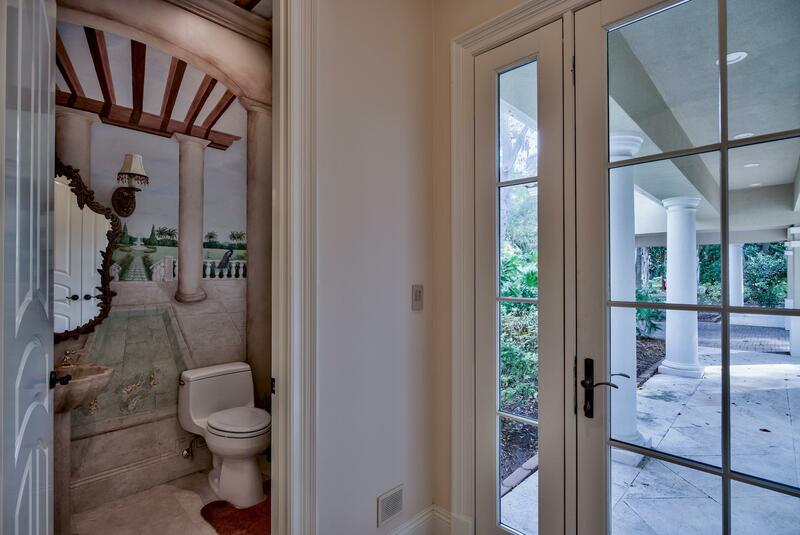 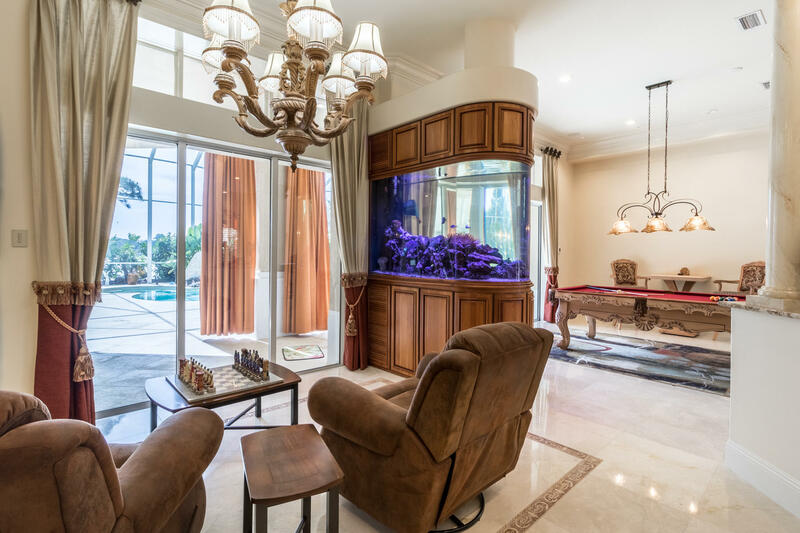 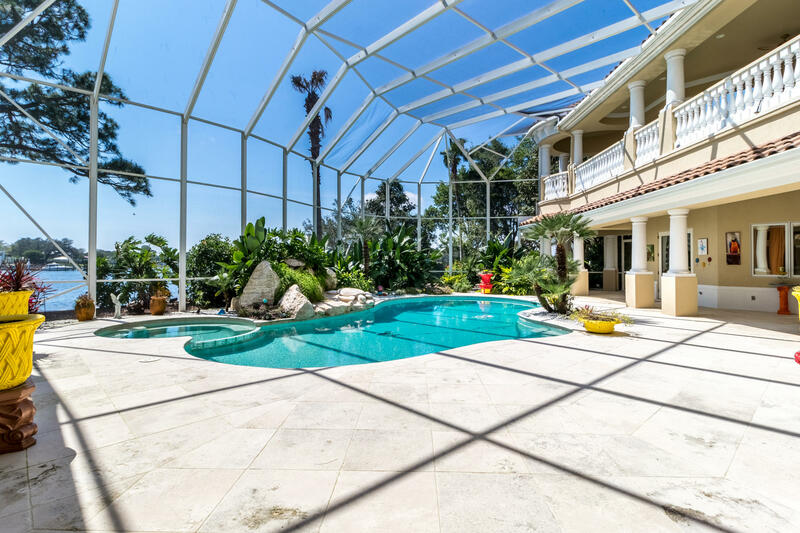 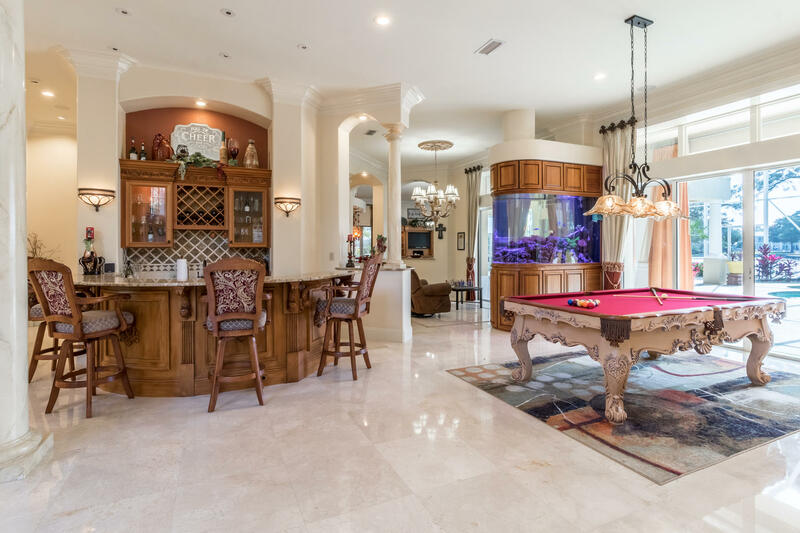 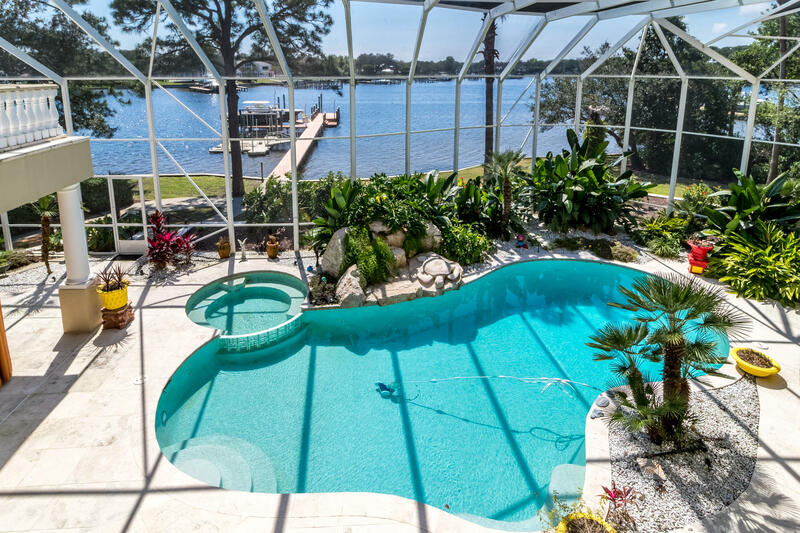 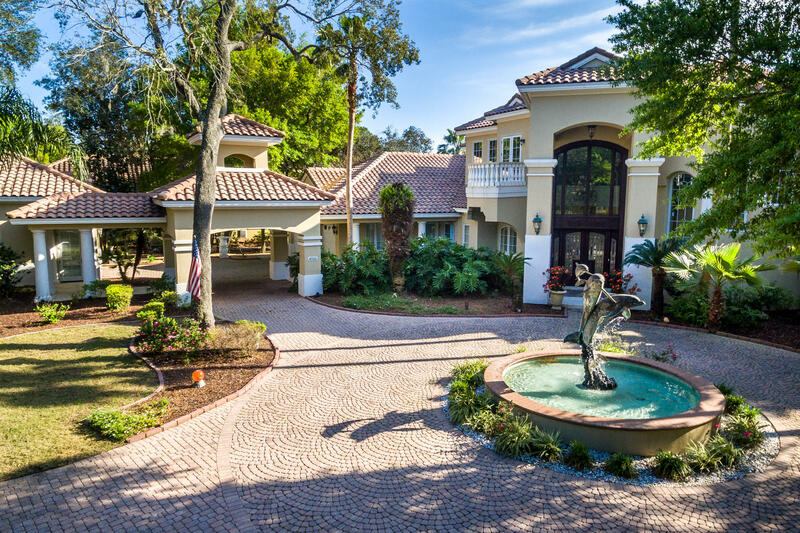 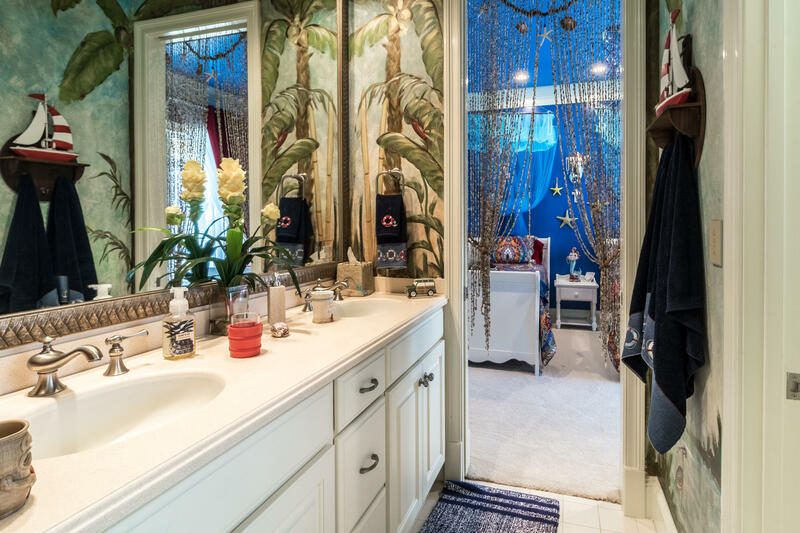 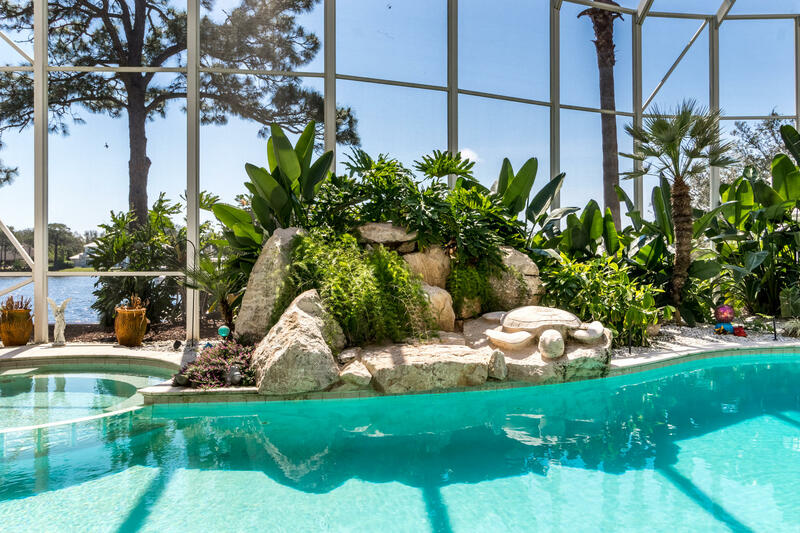 It features a pool, spa, rockery waterfall, lush landscaping, and a view of the bayou. 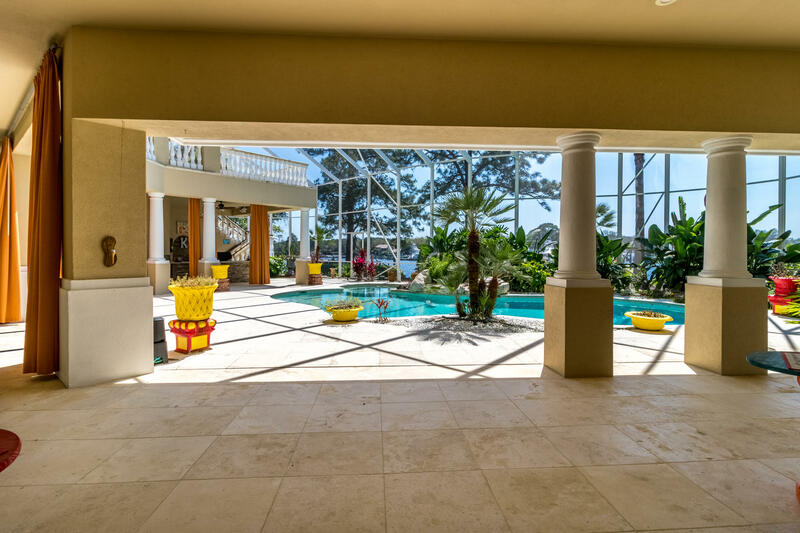 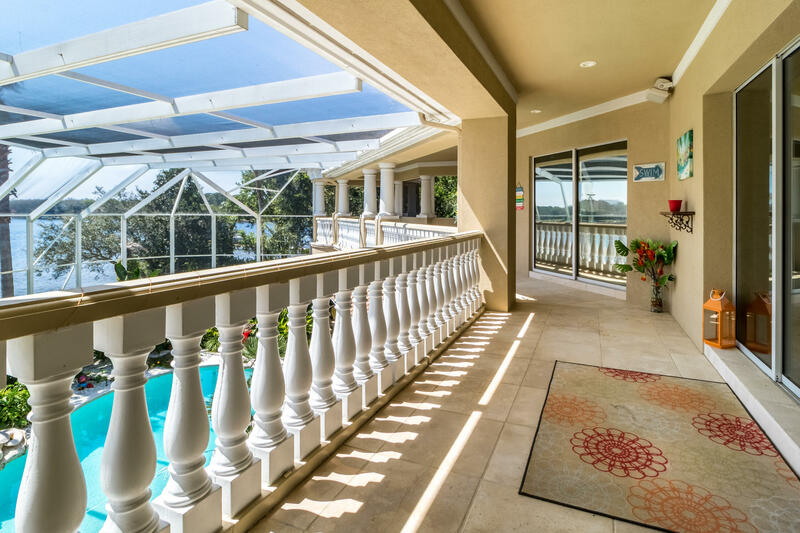 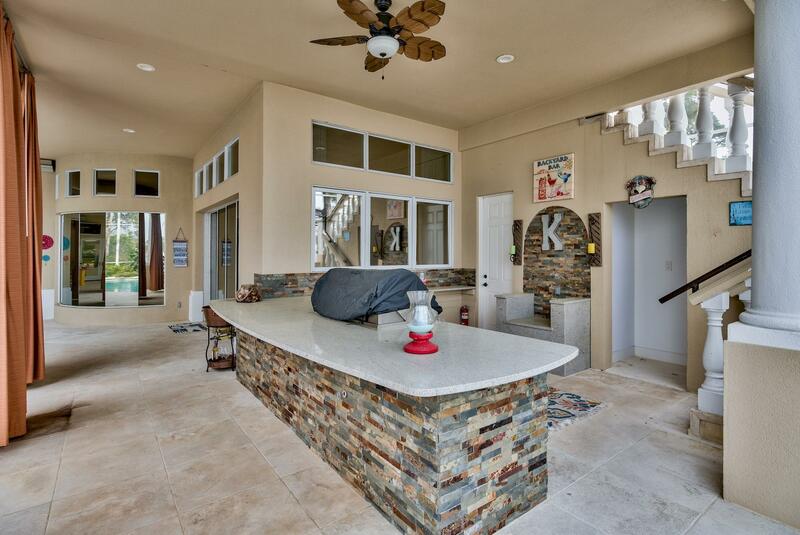 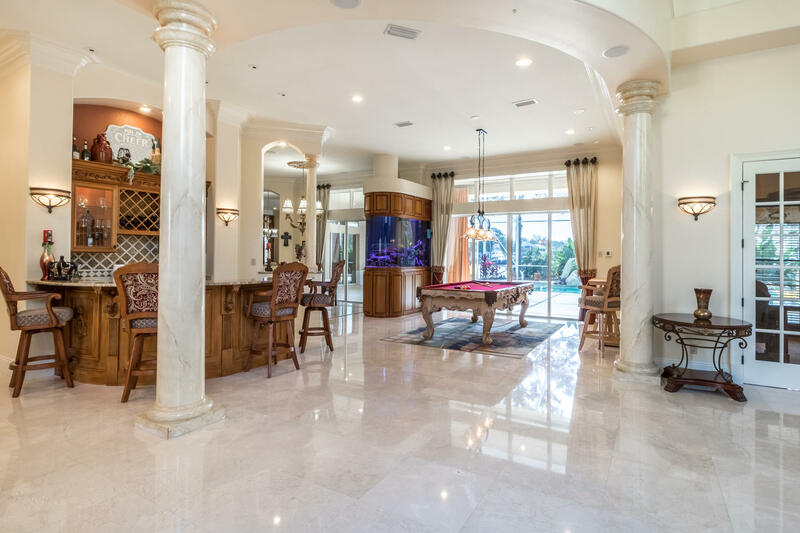 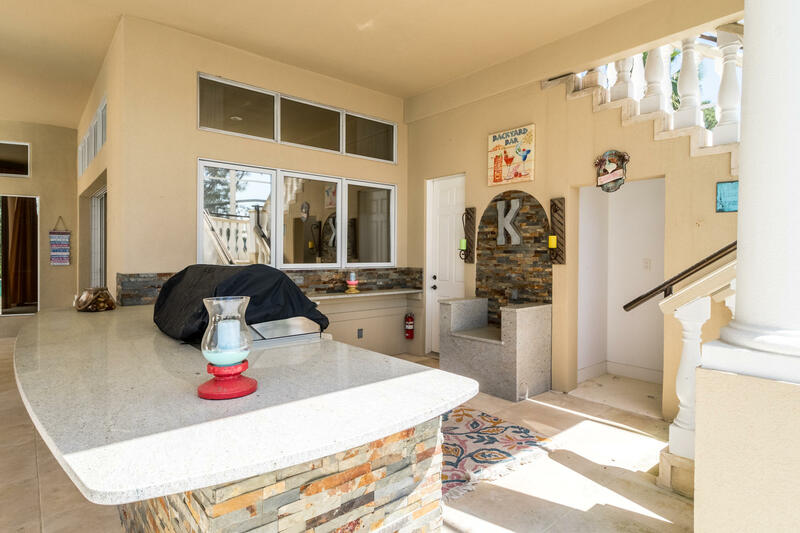 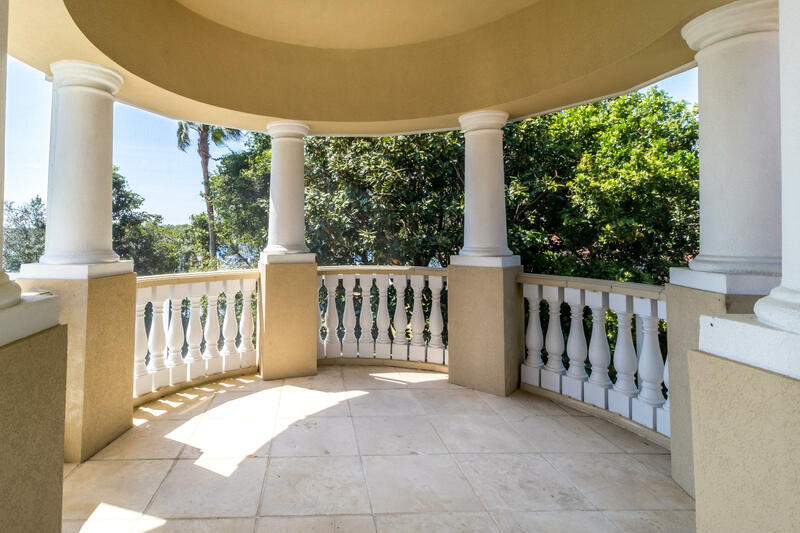 The main patio has abundant room for family and friends to gather round the pool. 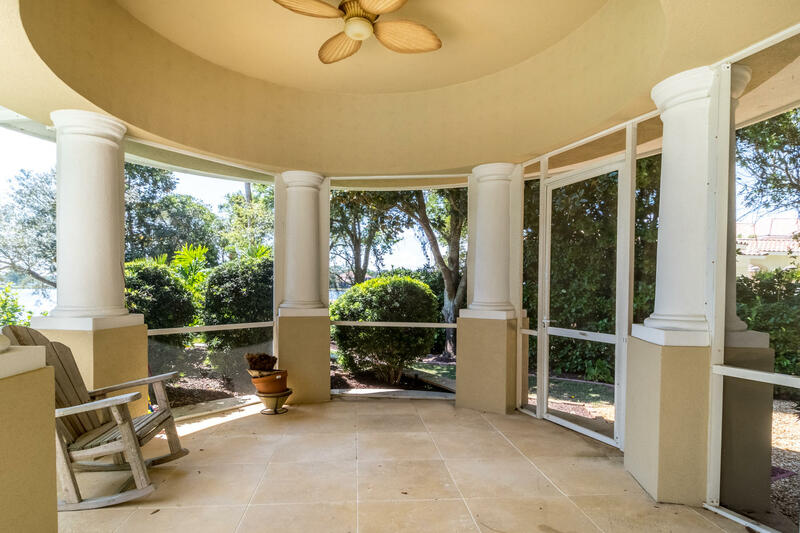 More separated areas provide quieter spots for sunning, dining, or relaxing under the stars. 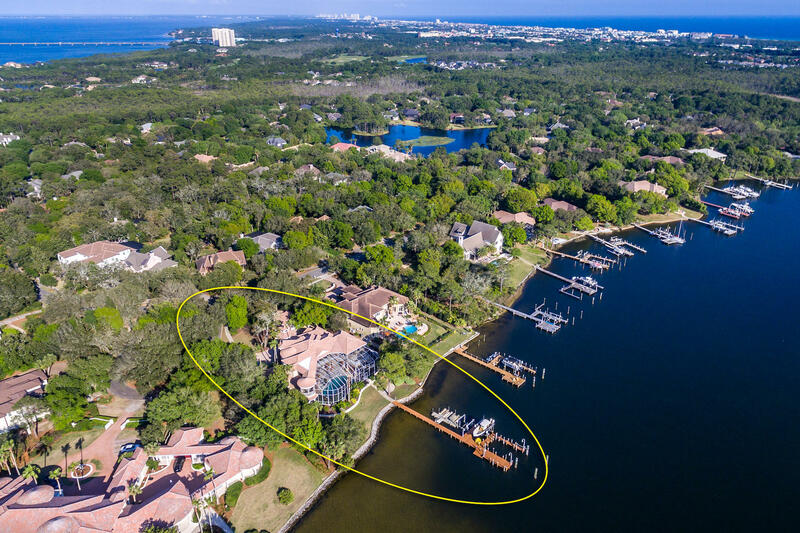 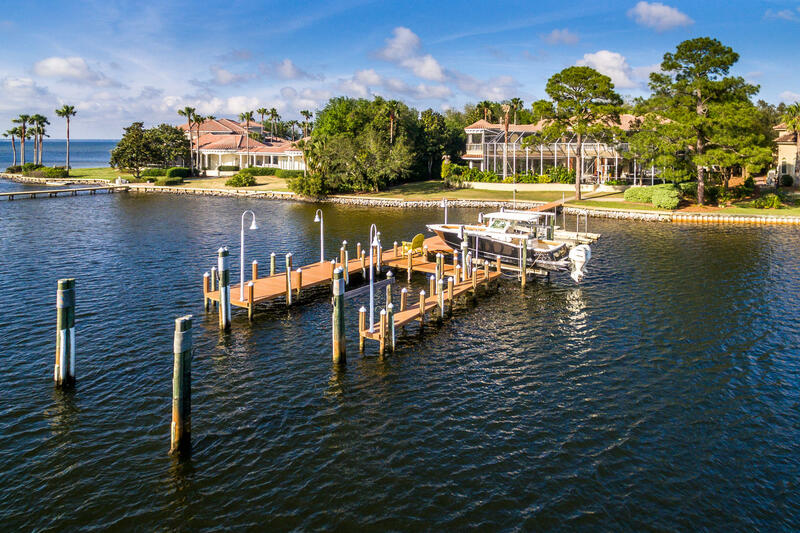 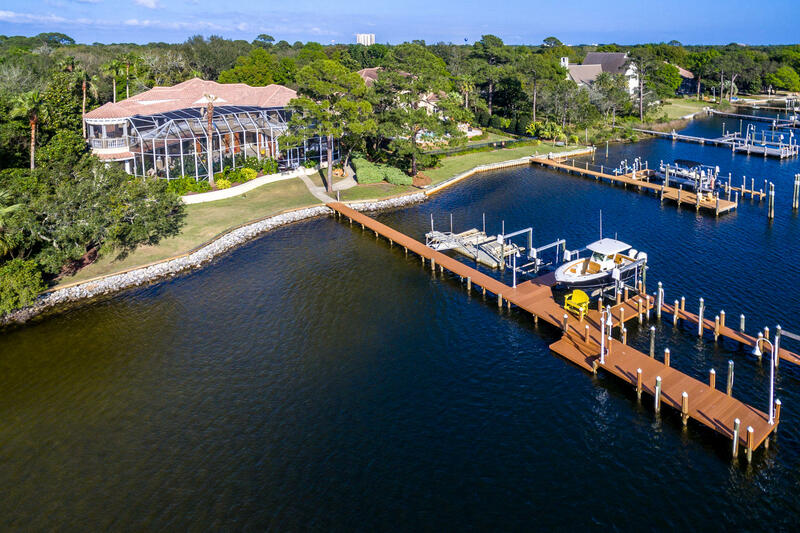 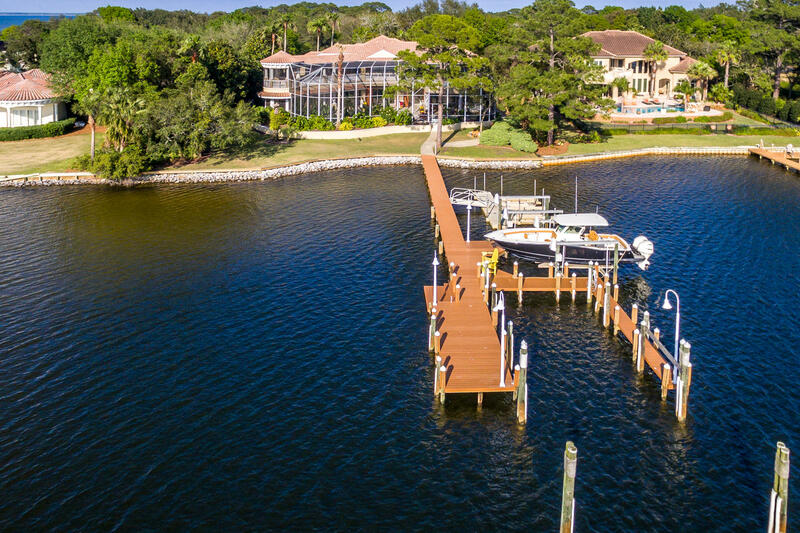 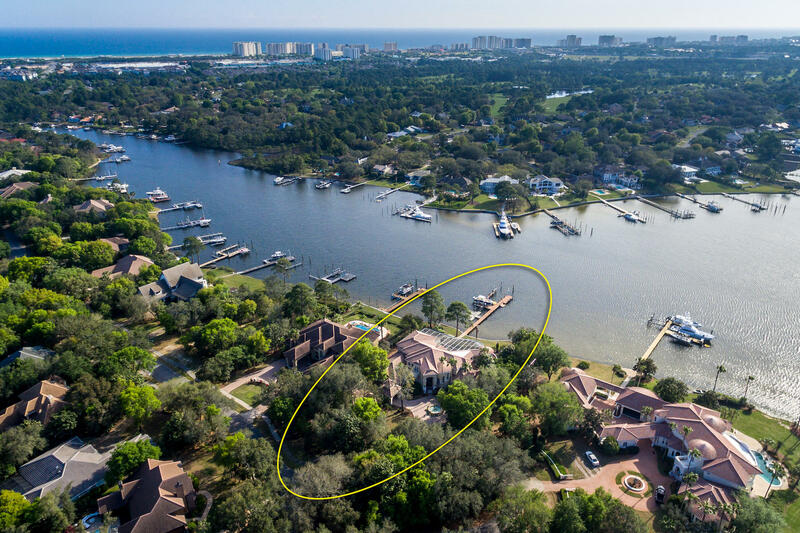 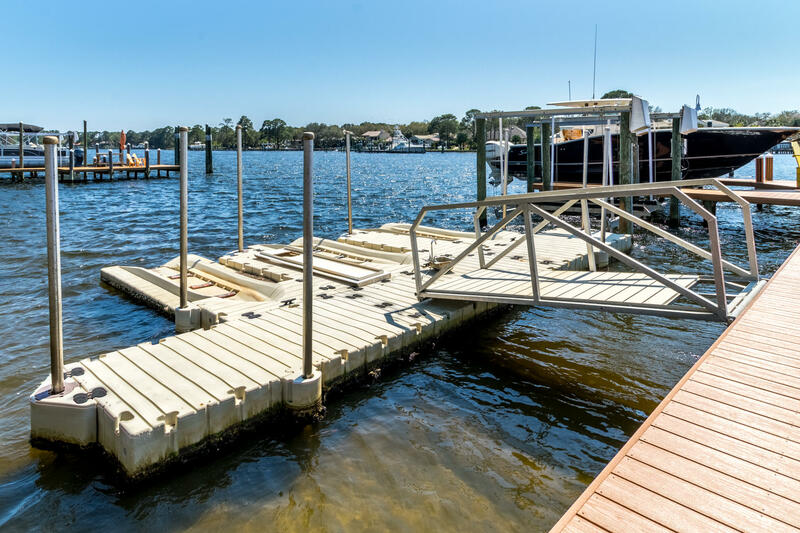 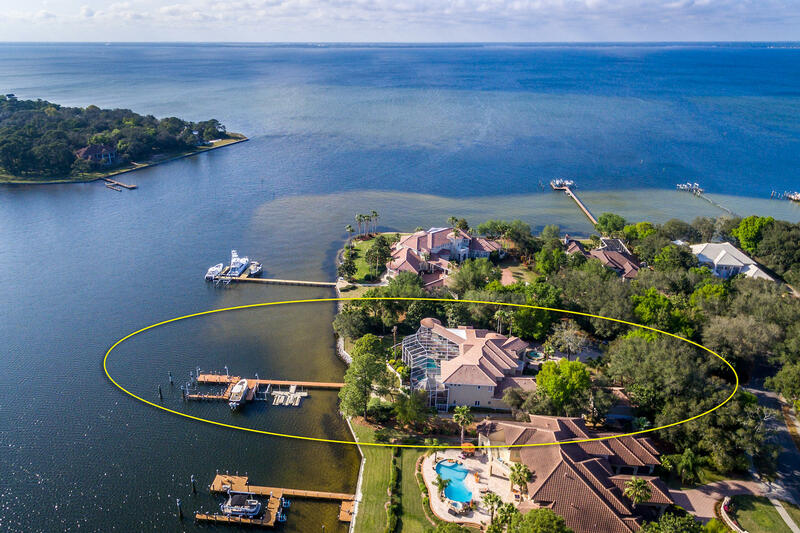 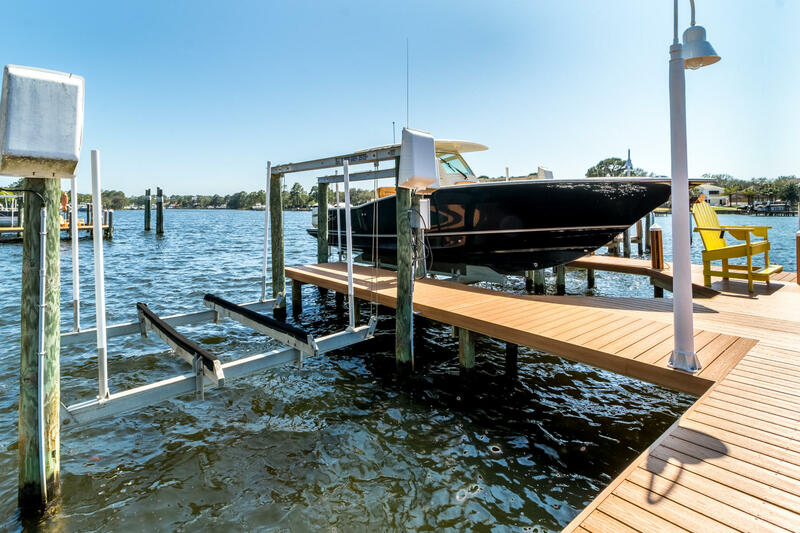 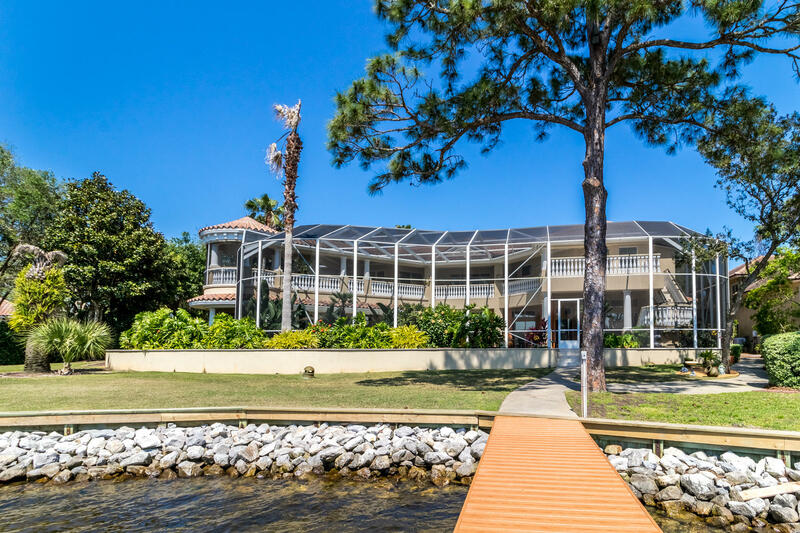 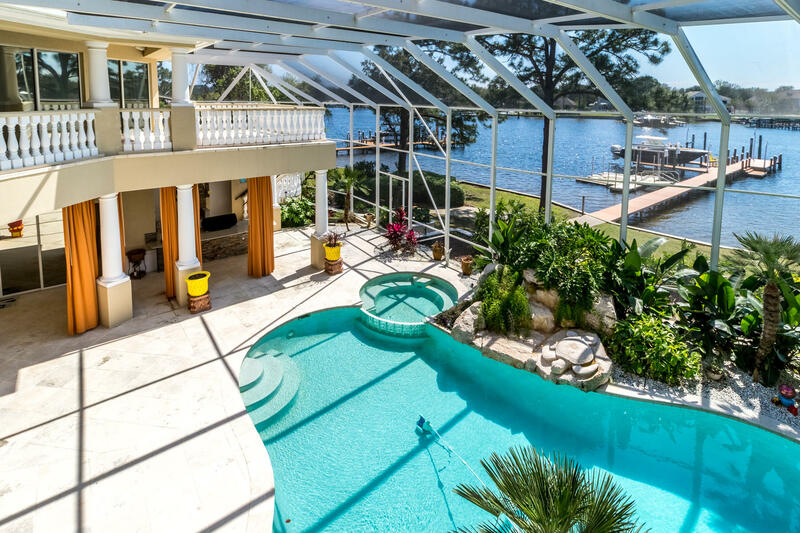 The deep-water dock is a yacht-lover's dream, with room to dock a large boat plus additional watercraft, multiple lifts, ports for jet skis, fish cleaning station, and easy access to the bay and the Gulf of Mexico. 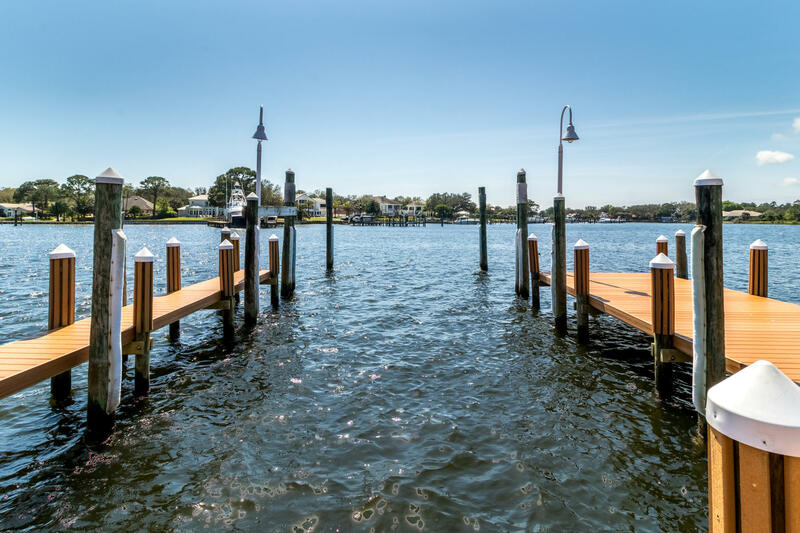 The largest slip of the 3 deep-water mooring areas measures 17' in width, providing 7.5' in water depth. 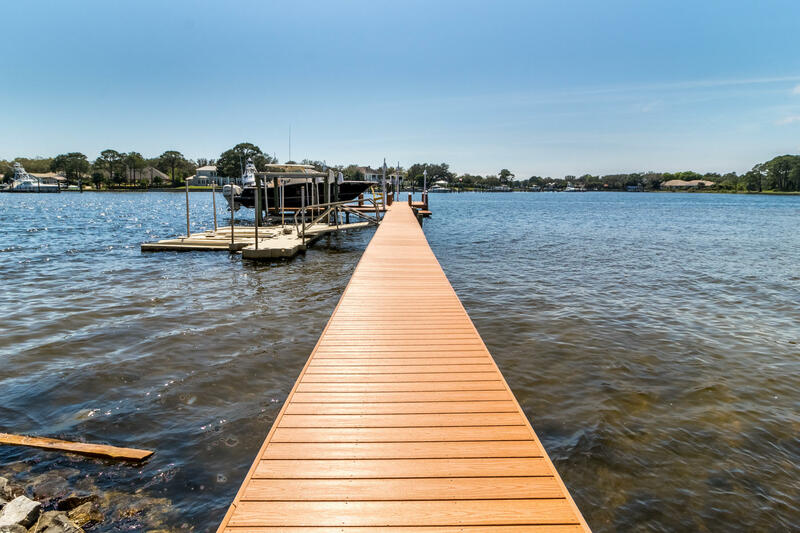 New Trex decking has been installed on the dock. 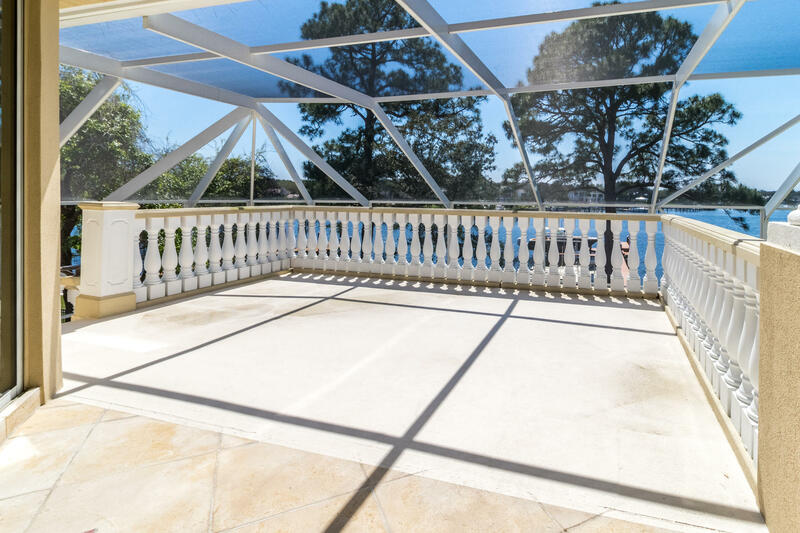 The estate features both an attached and detached garage, with room for up to five vehicles. 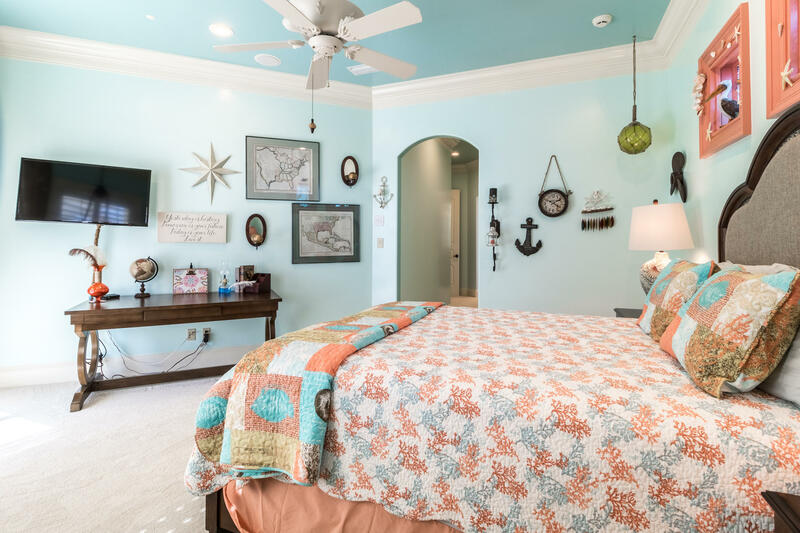 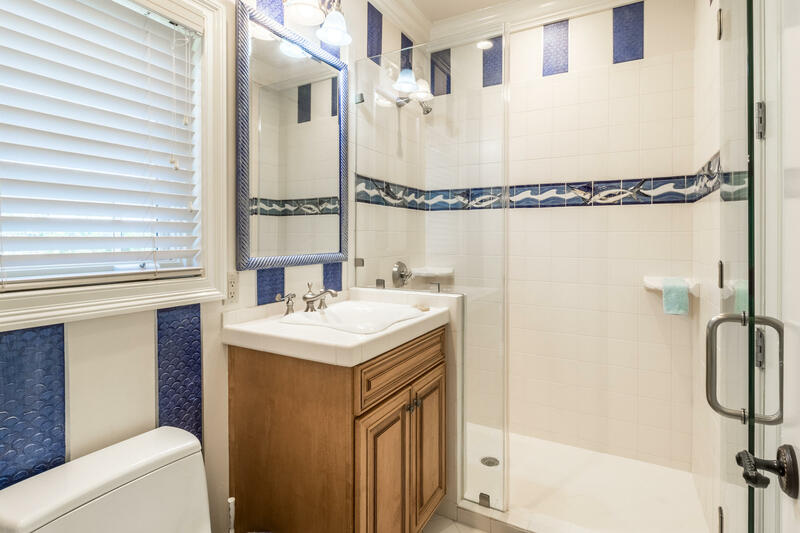 Additional conveniences include a new Creston system for audio/video, security, etc., touch lighting in all rooms, instant hot water, two laundry rooms, three A/C units, natural gas generator, abundant storage, and much more. 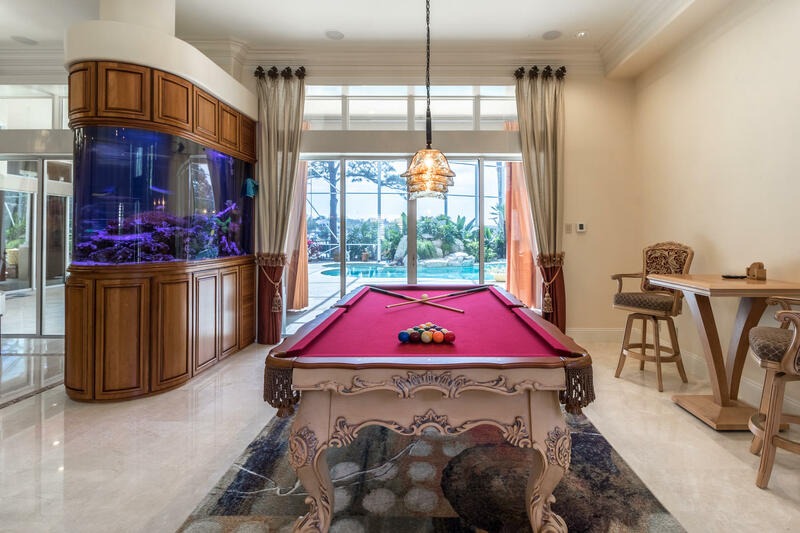 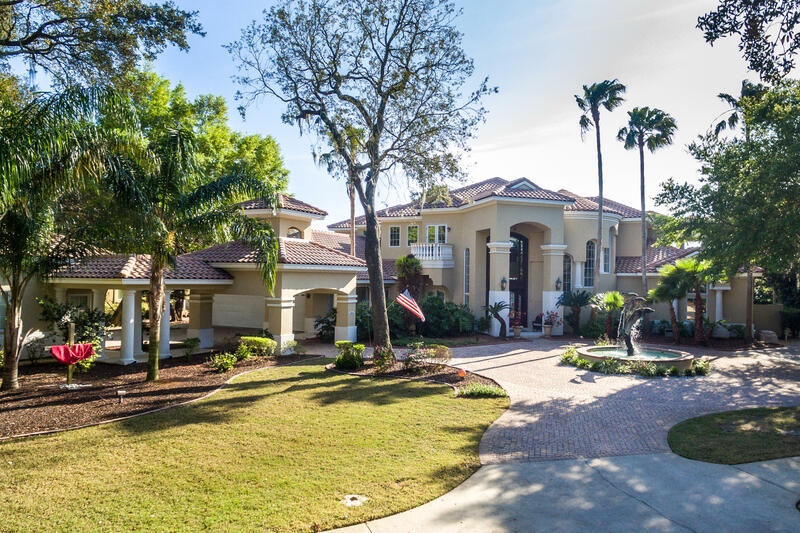 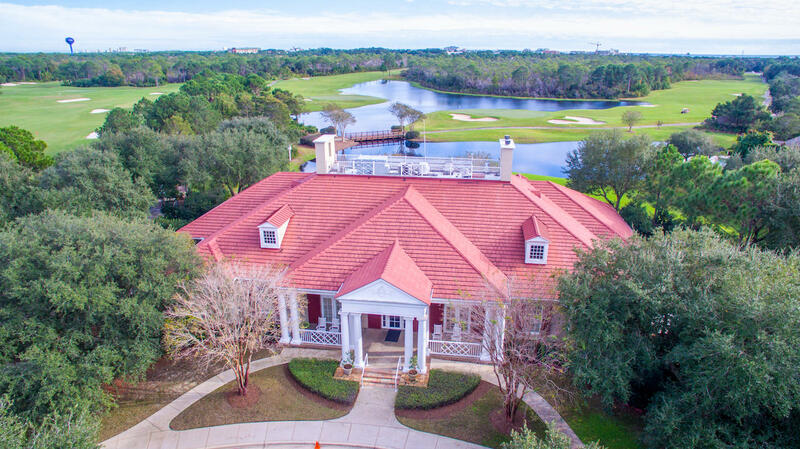 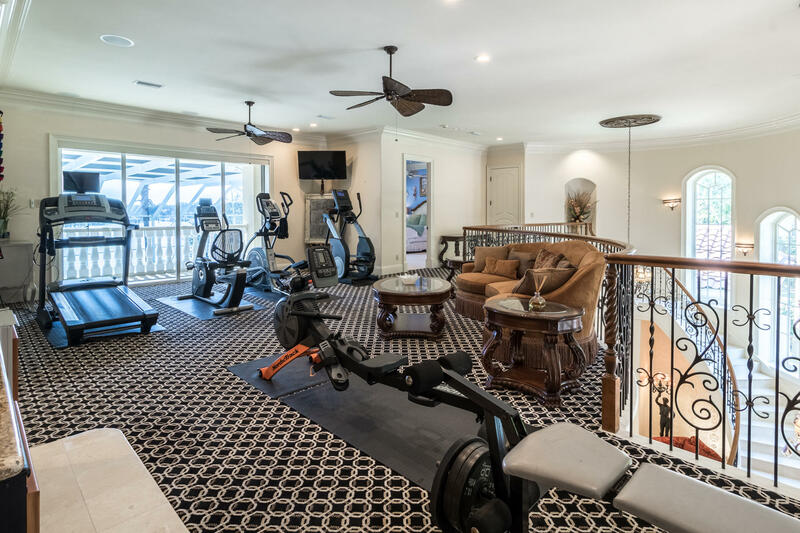 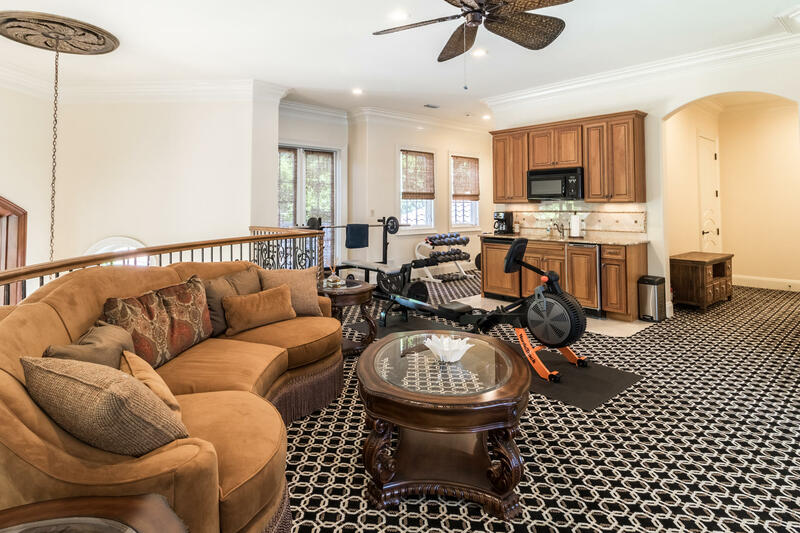 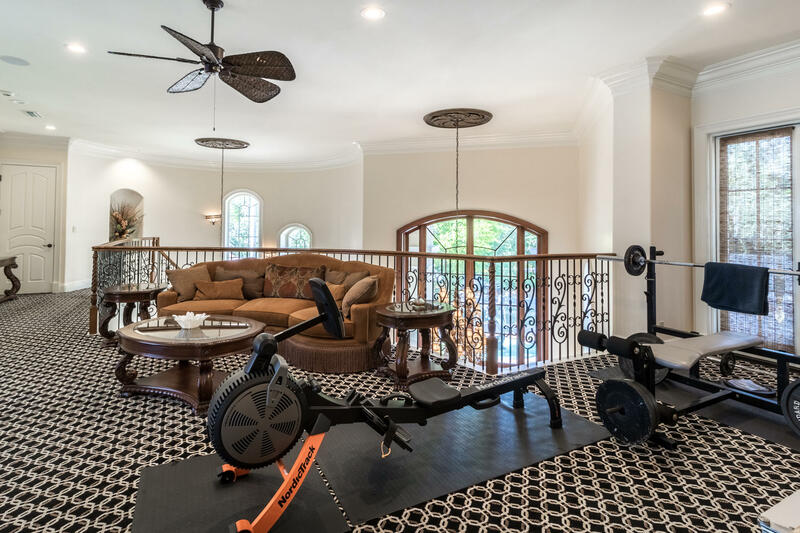 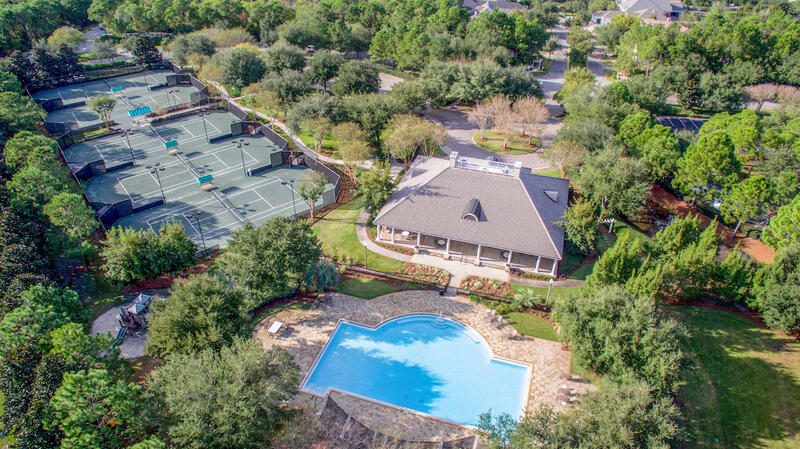 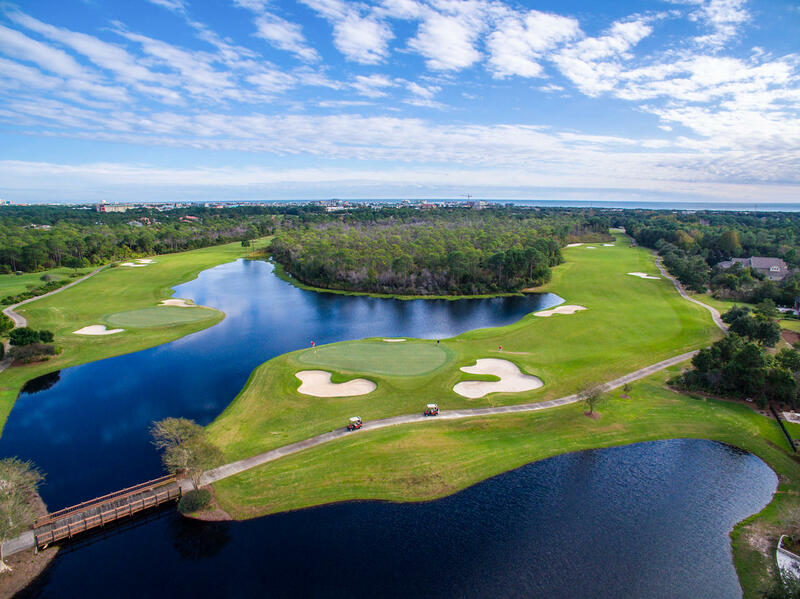 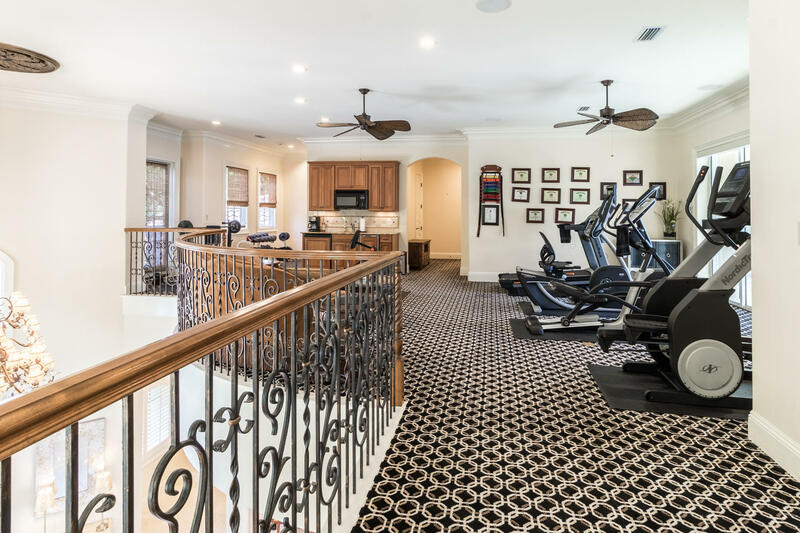 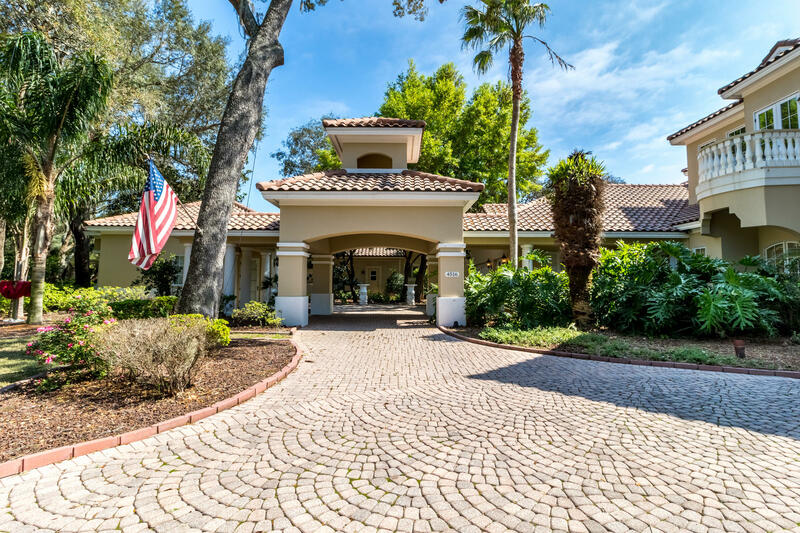 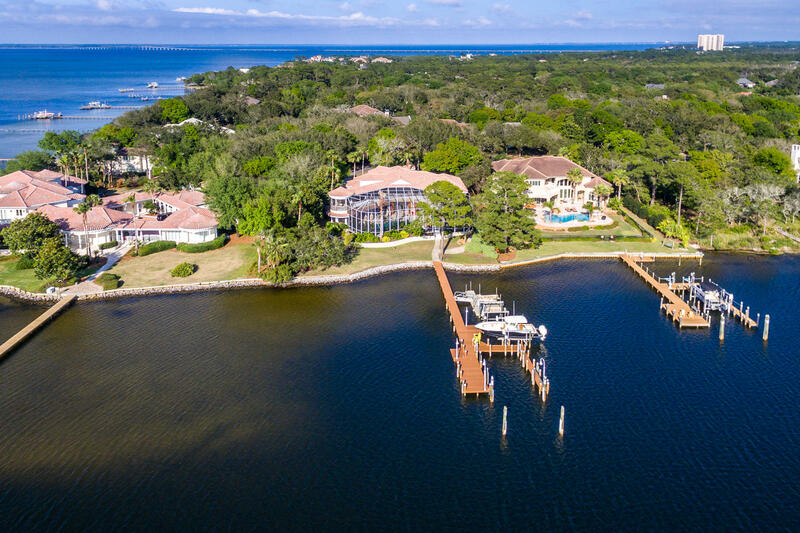 The amenities of Kelly Plantation, including golf, are just down the road, as are Destin's fabulous white sand beaches and numerous dining and entertainment venues. 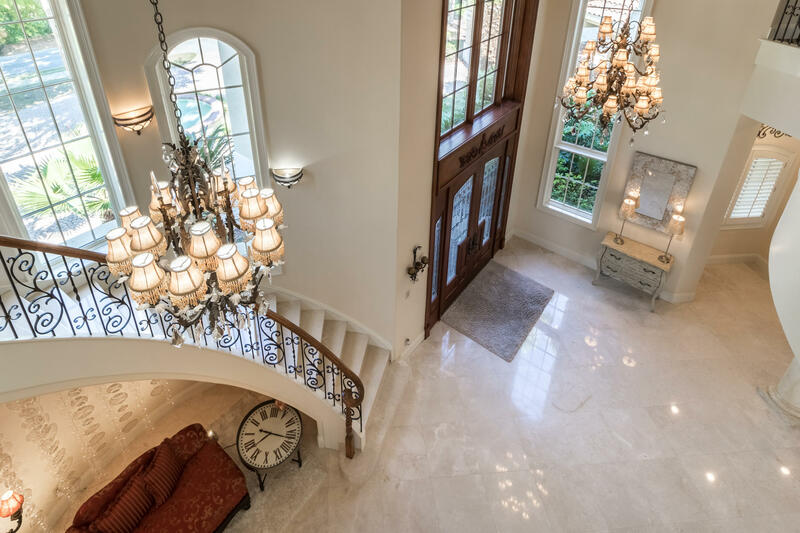 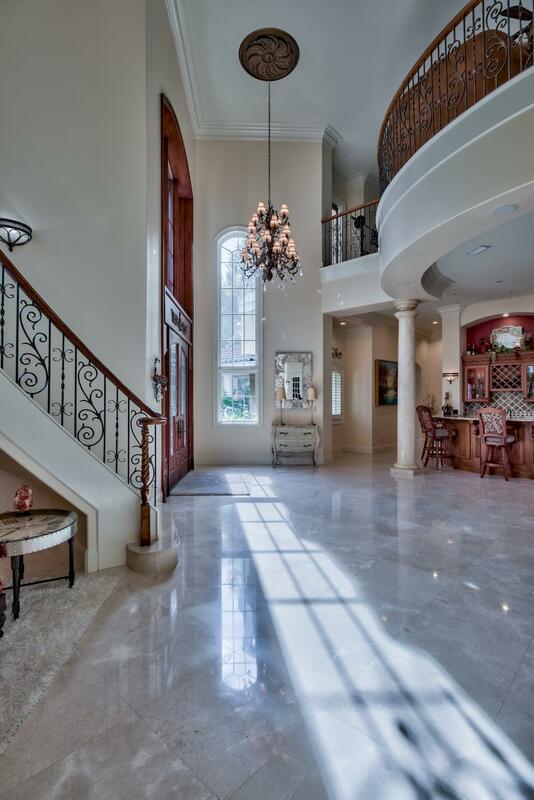 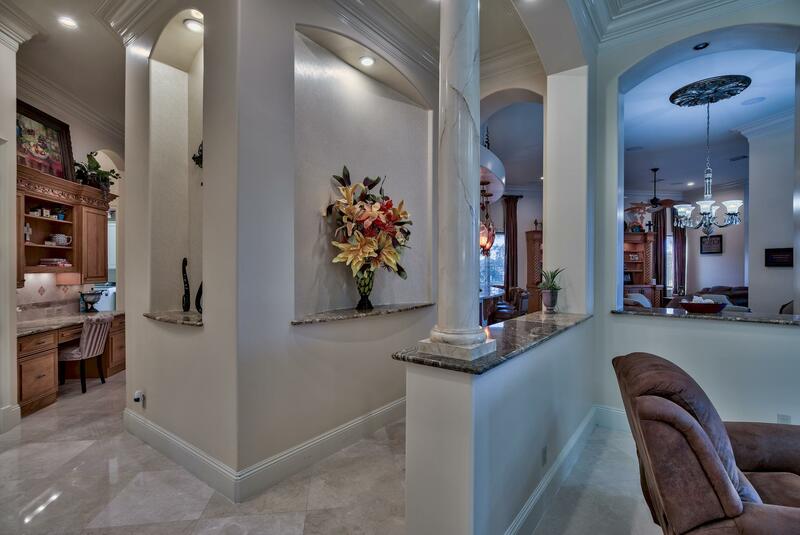 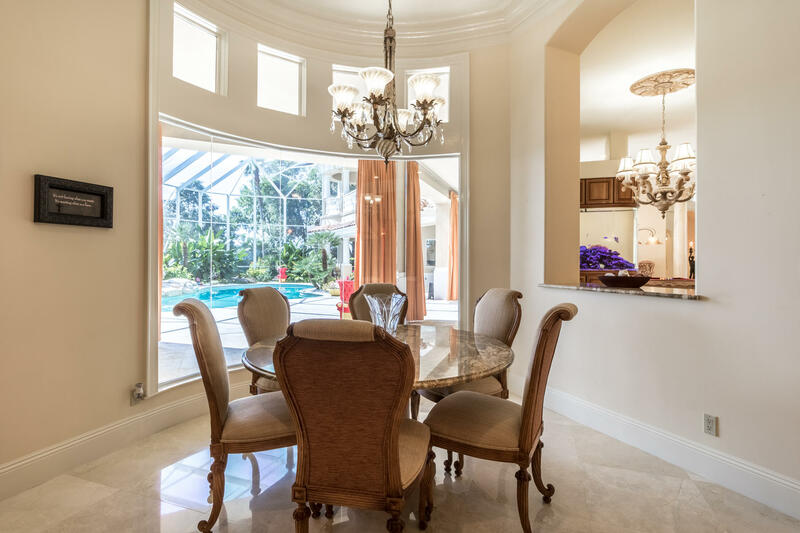 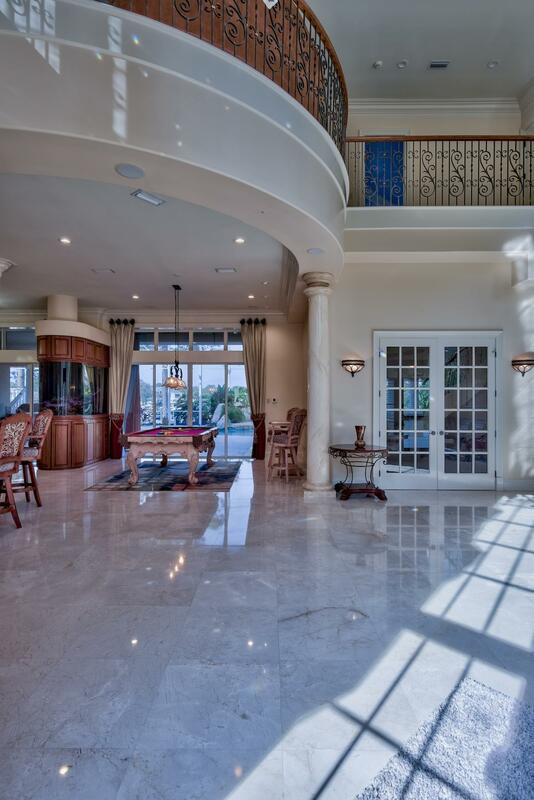 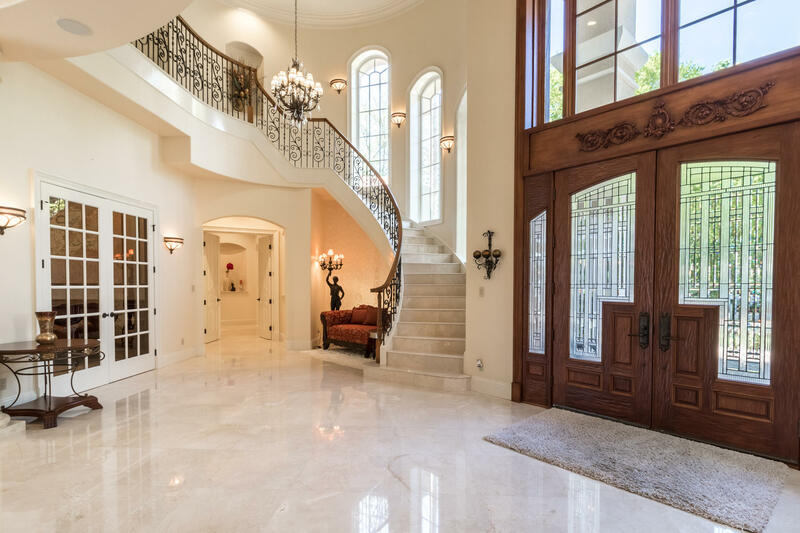 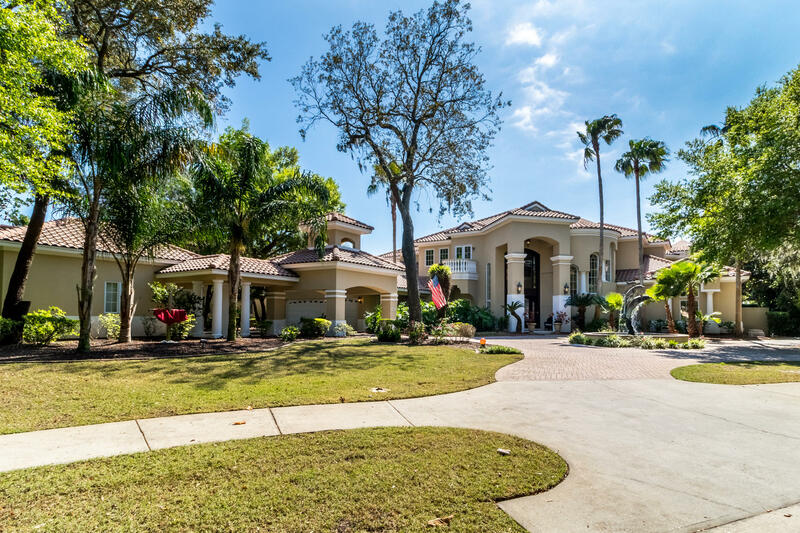 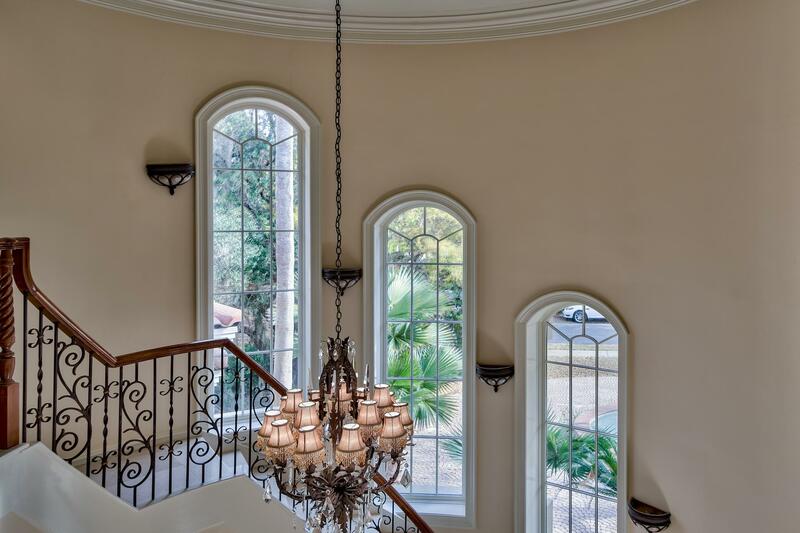 Well designed and executed with quality throughout, this gorgeous home will enhance any lifestyle!